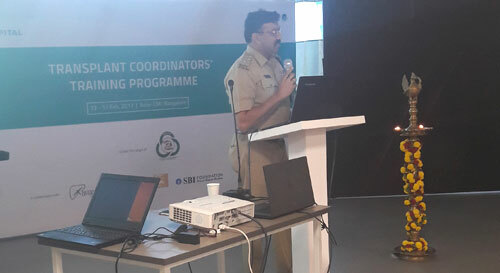 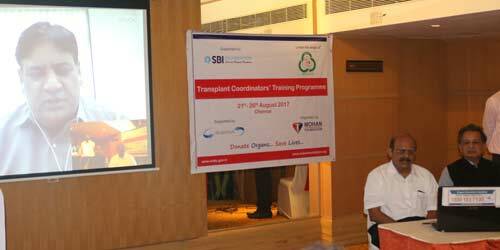 The success of an organ donation and transplant programme depends on good coordination and trained transplant coordinators are the key. 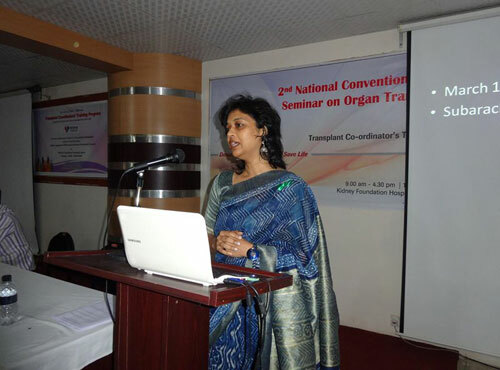 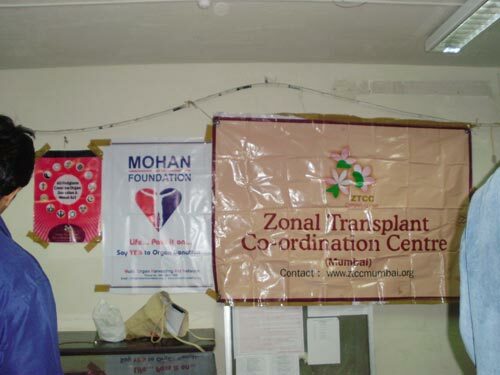 The Transplantation of Human Organs (Amendment) Act, 2011, has made Transplant Coordinator nomination mandatory before a hospital is registered as a transplant center. 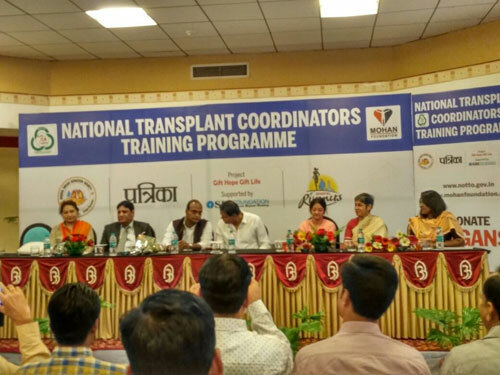 This means that there is a huge requirement for trained transplant coordinators in close to 400 transplant centers in the country. 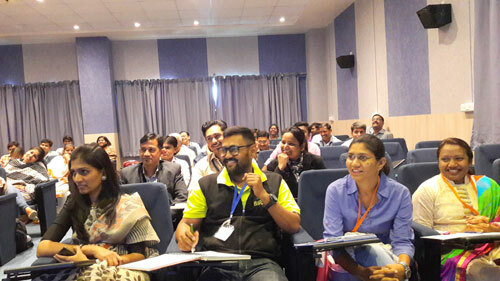 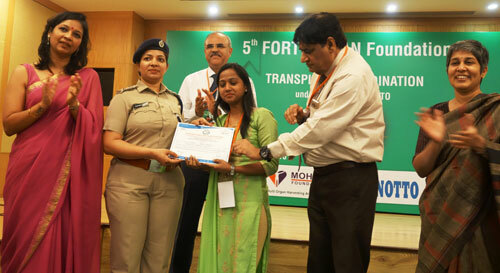 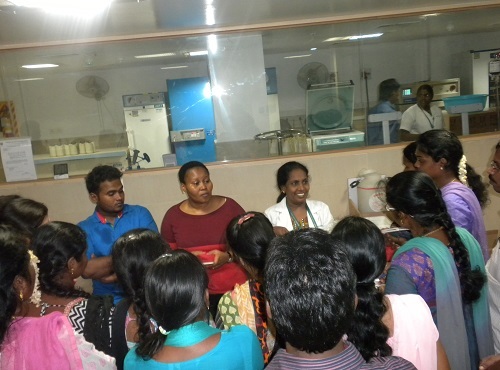 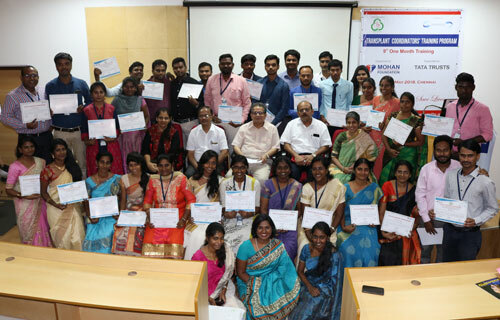 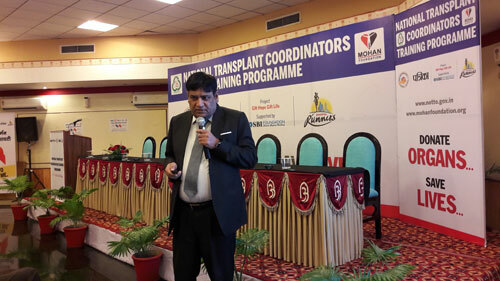 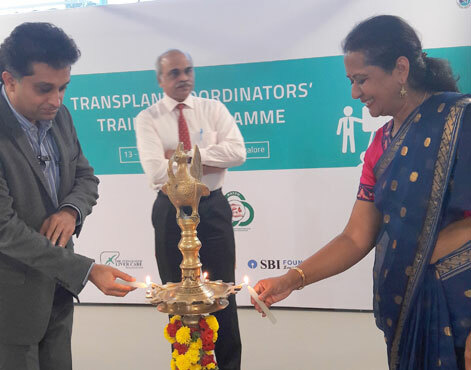 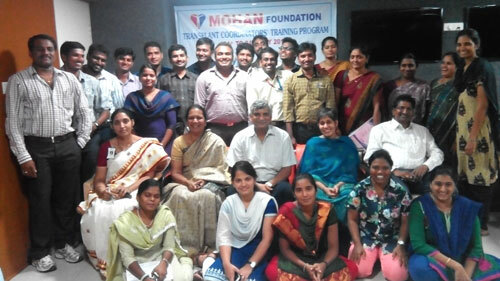 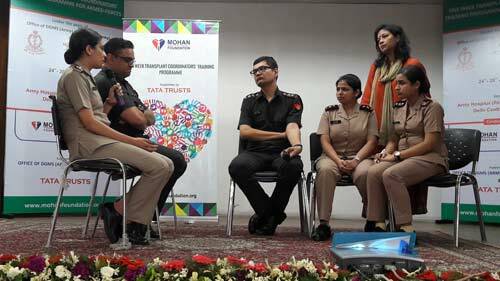 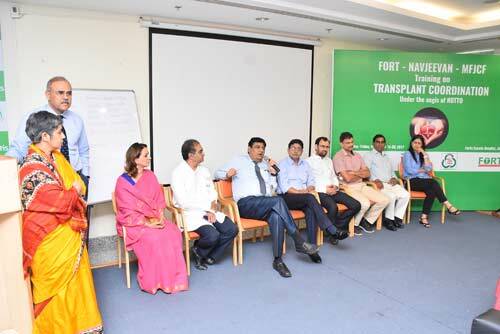 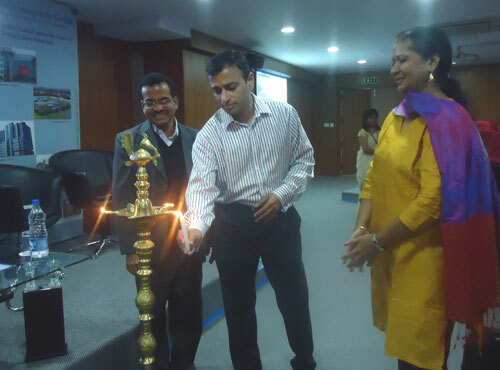 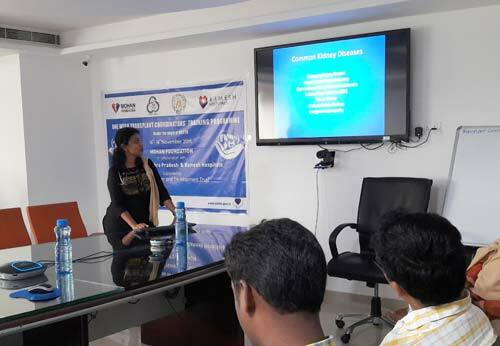 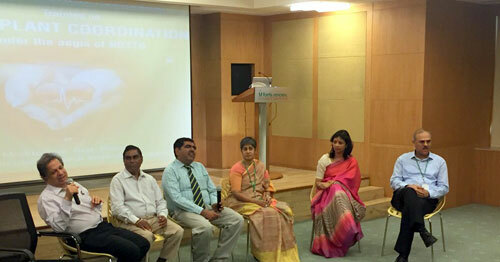 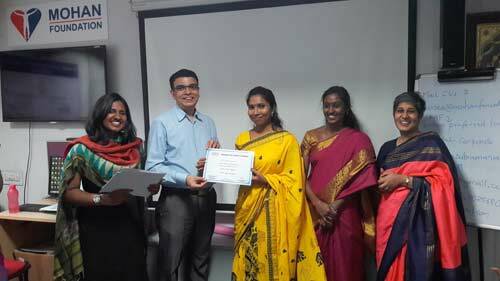 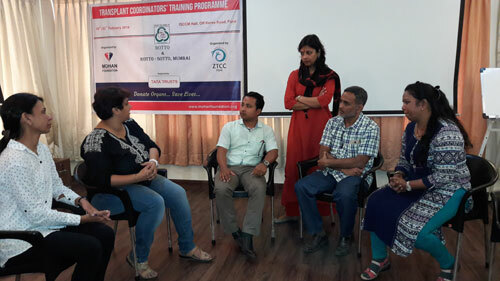 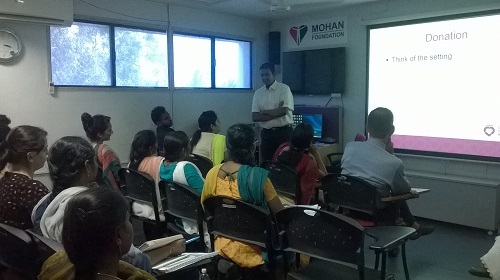 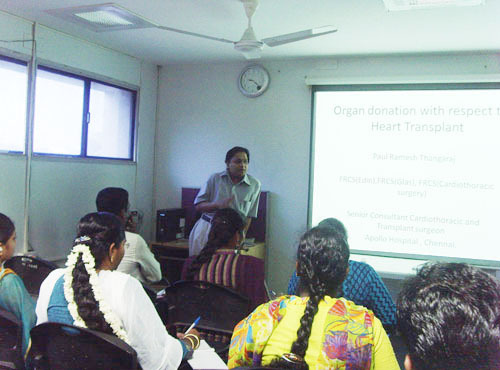 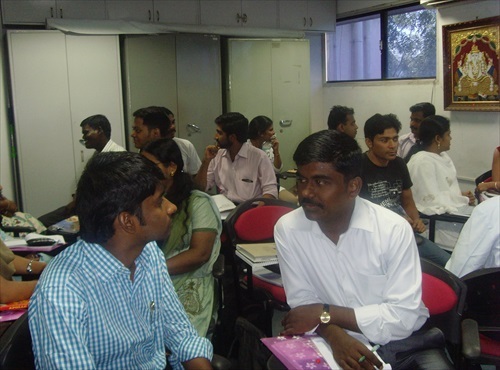 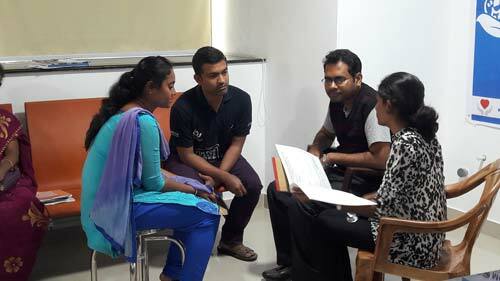 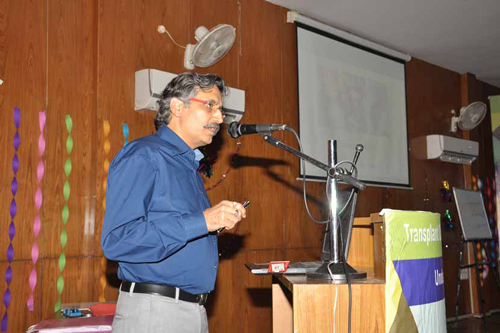 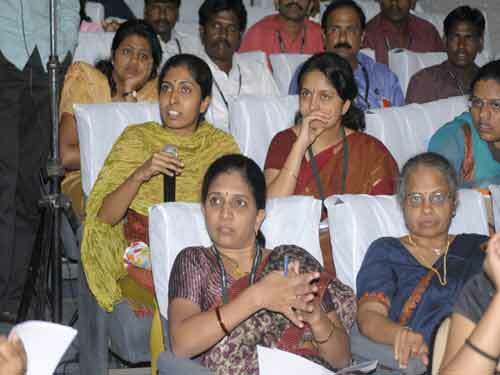 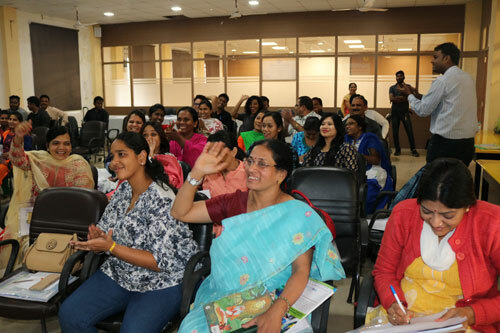 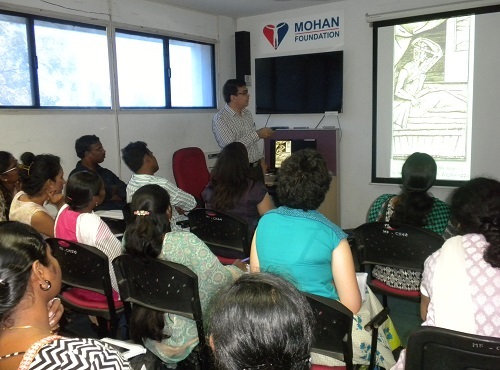 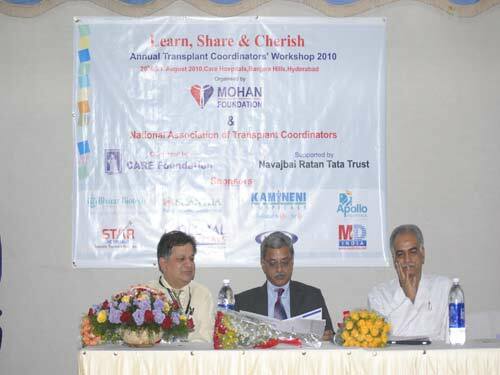 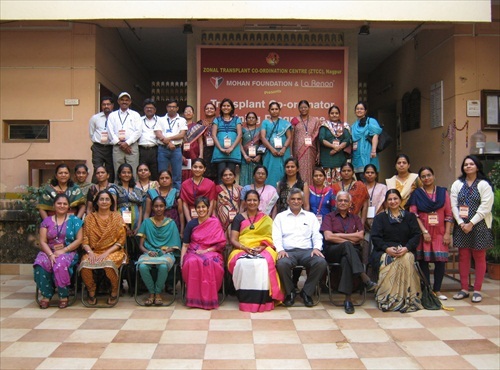 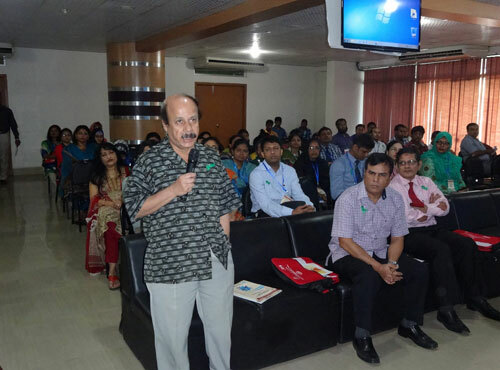 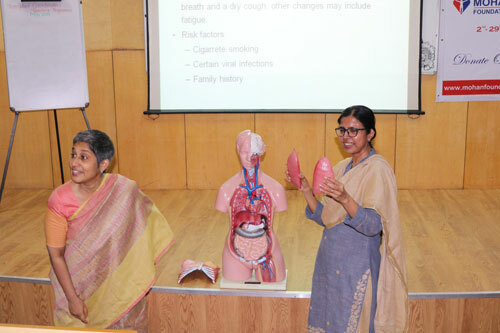 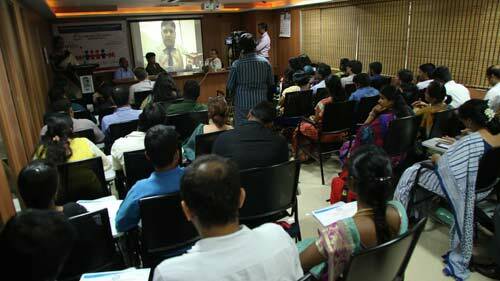 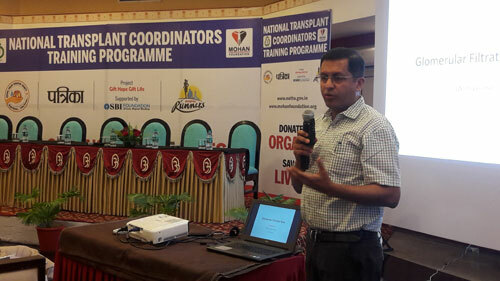 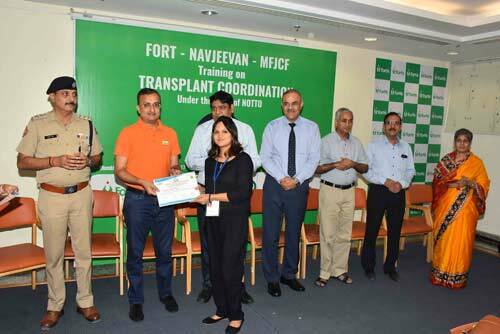 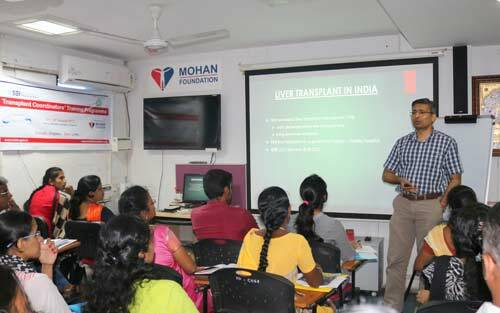 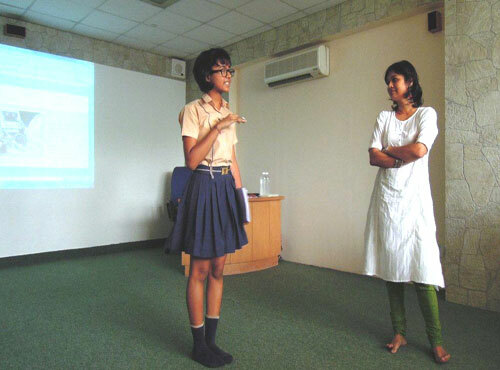 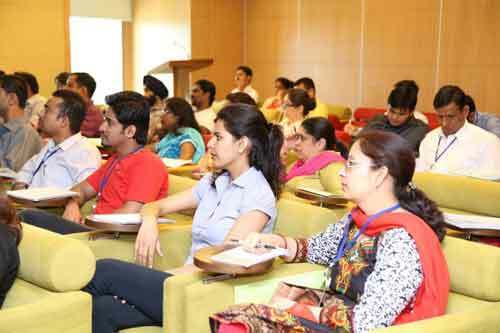 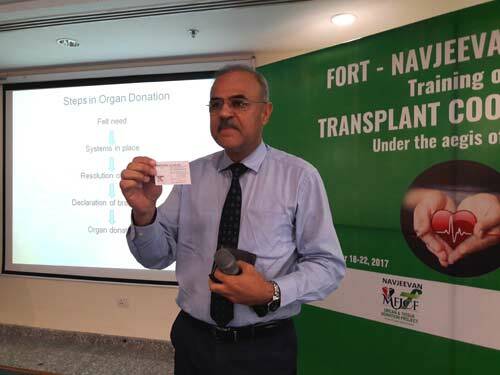 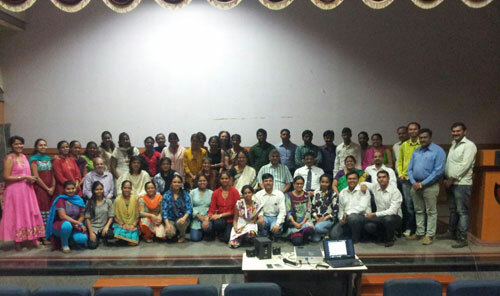 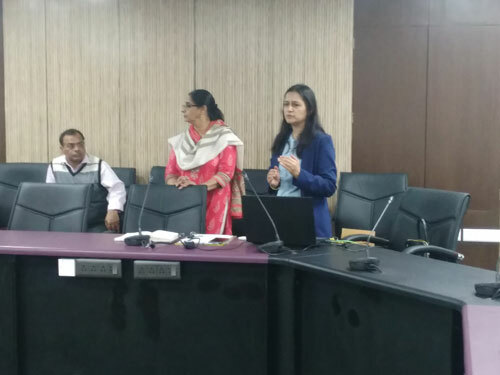 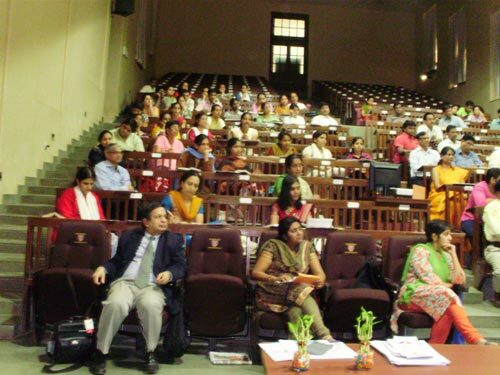 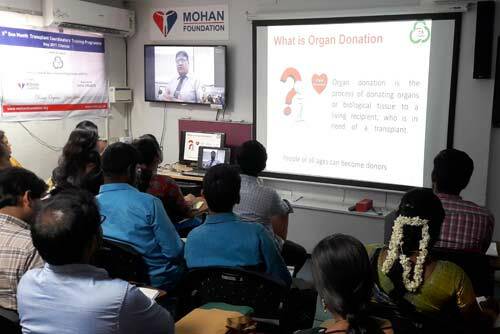 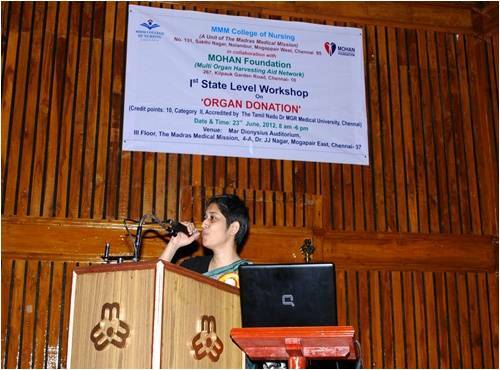 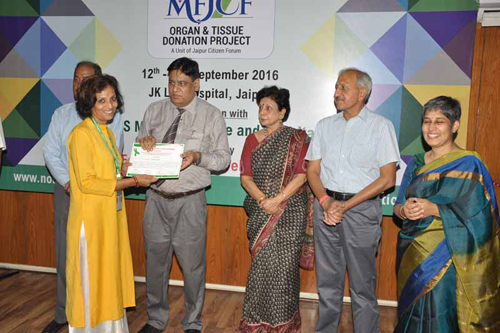 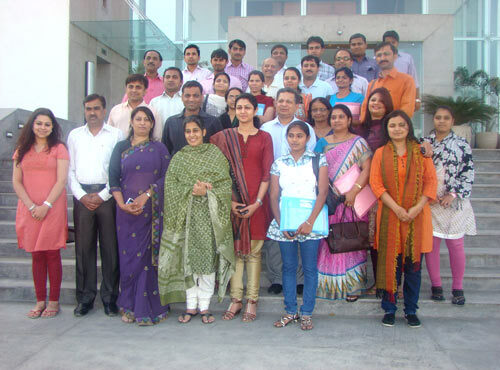 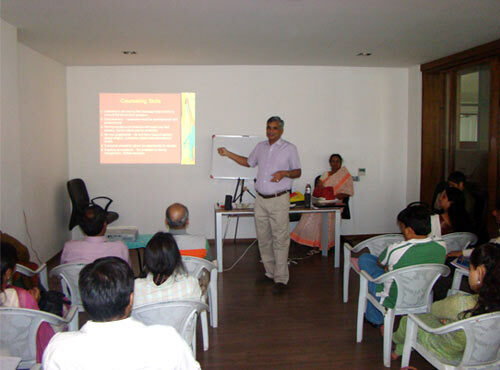 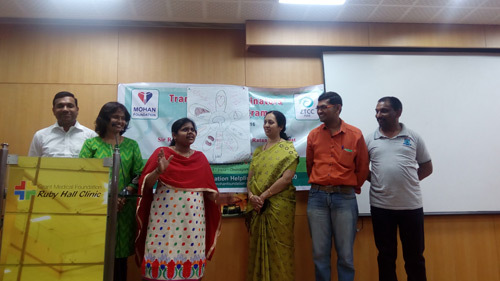 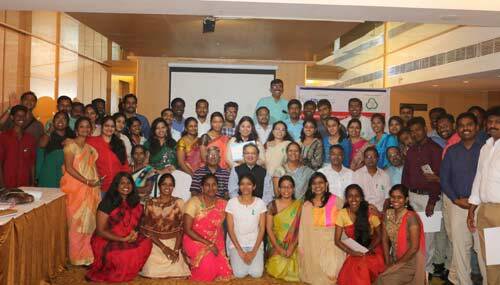 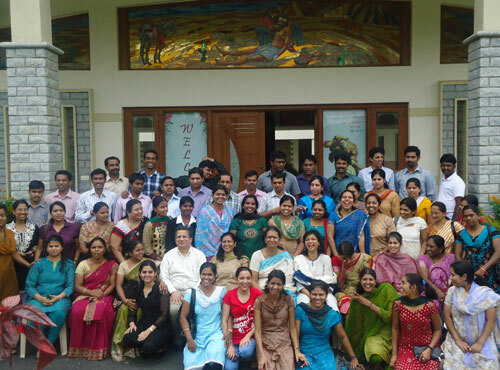 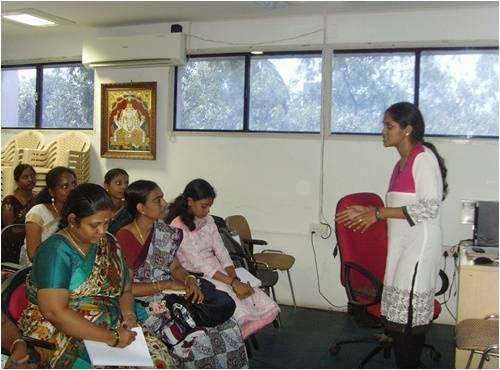 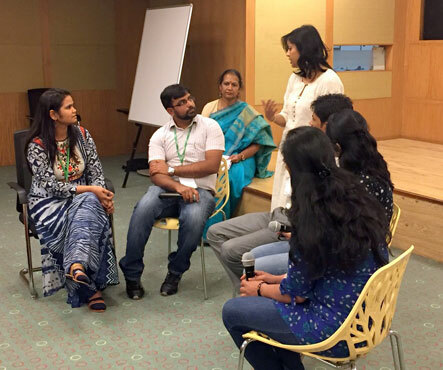 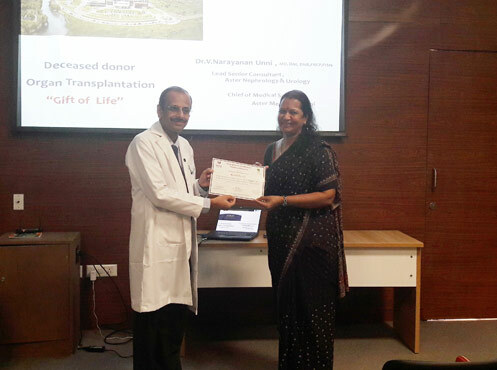 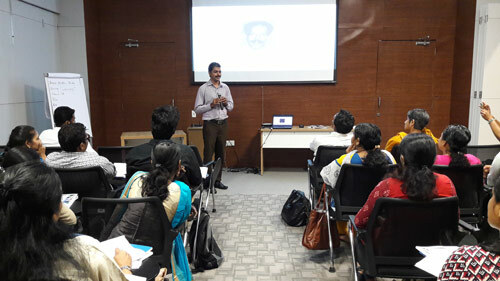 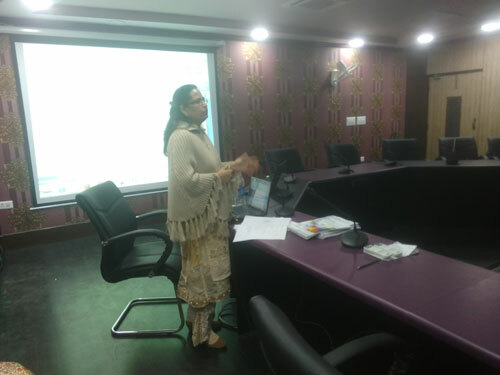 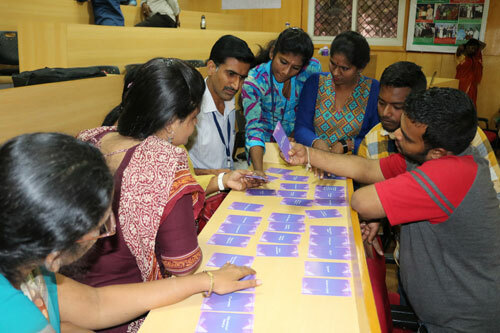 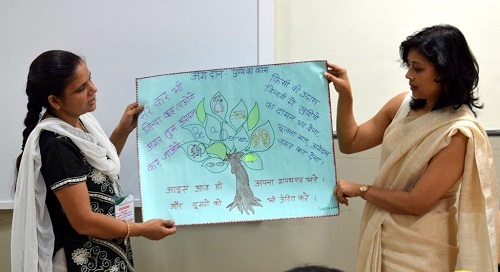 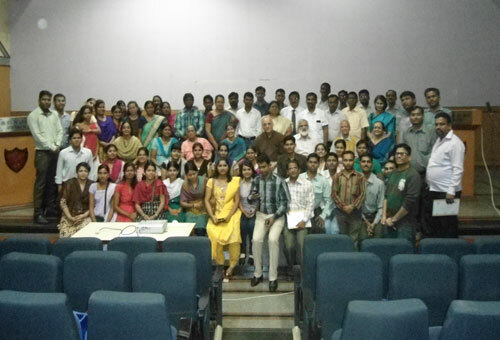 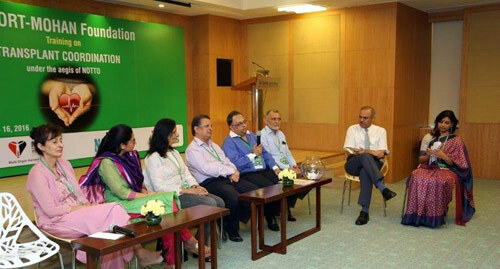 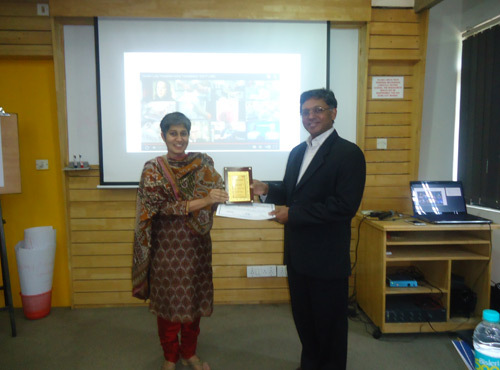 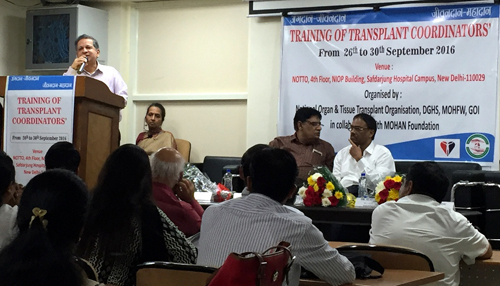 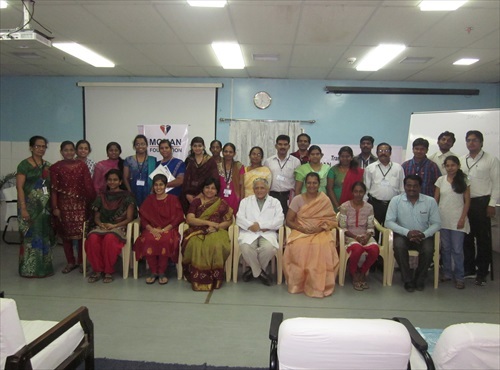 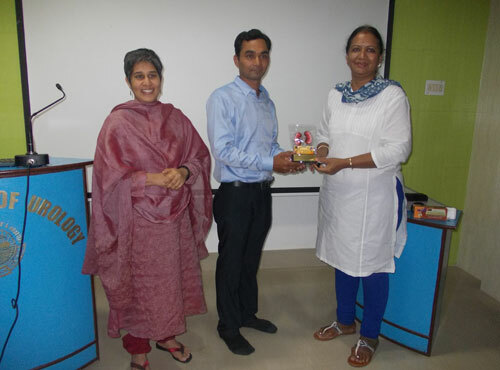 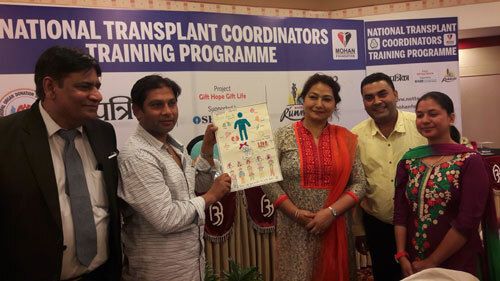 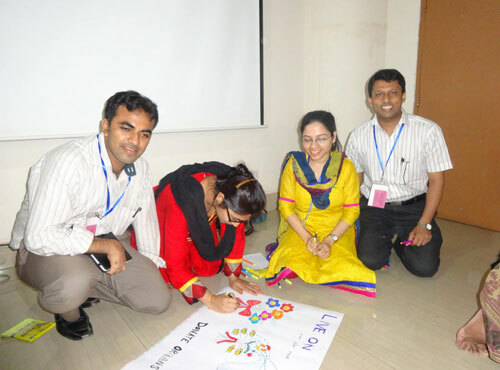 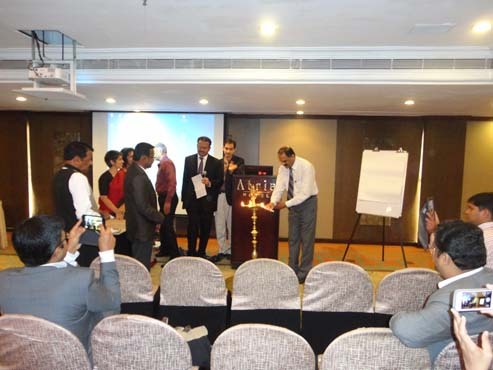 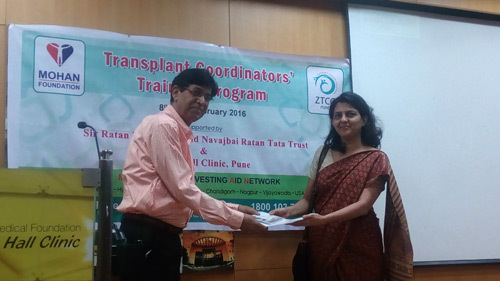 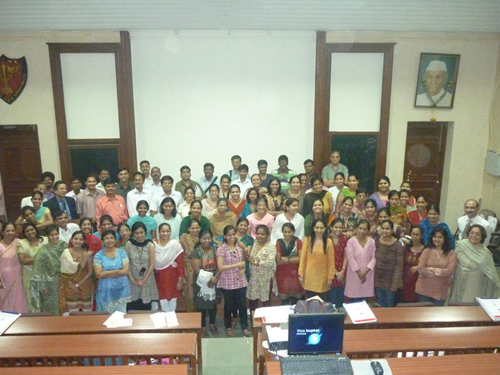 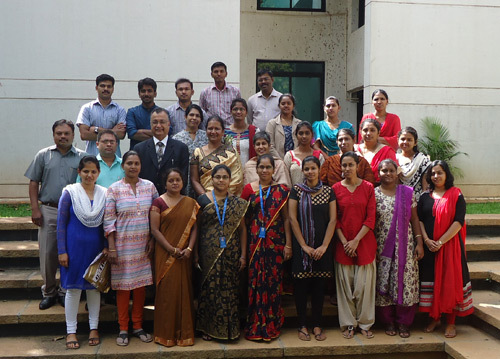 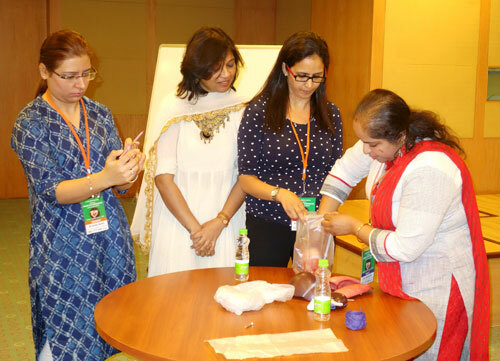 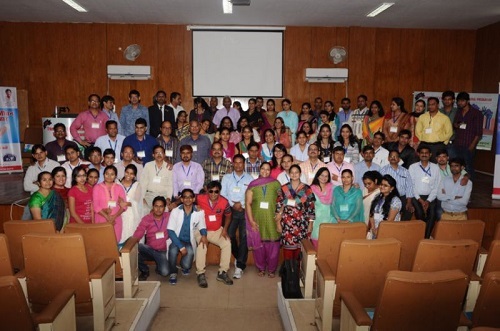 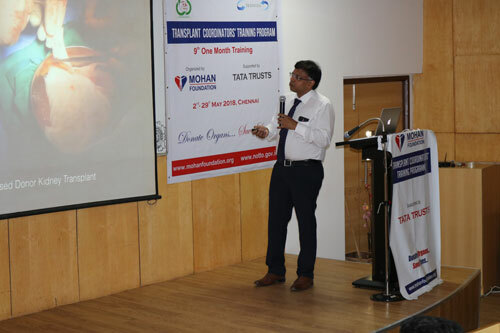 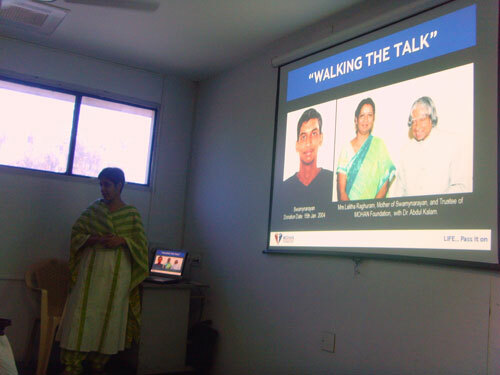 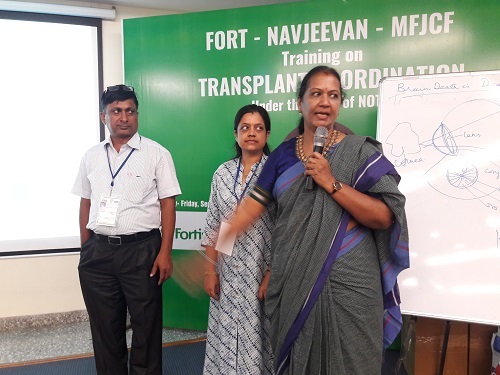 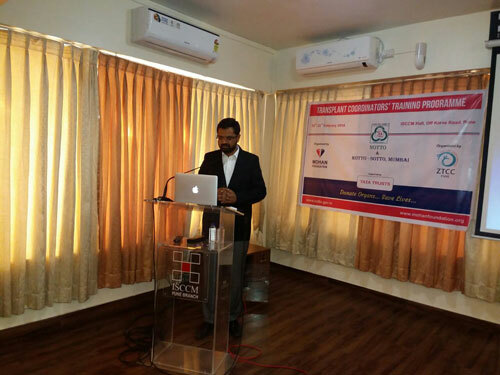 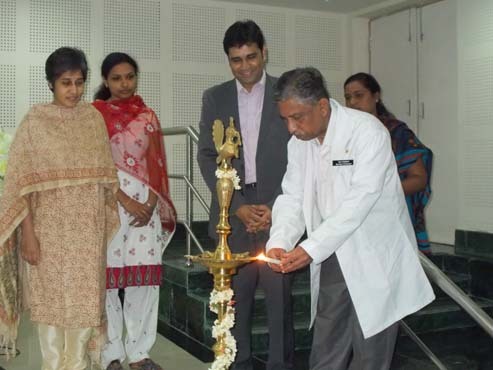 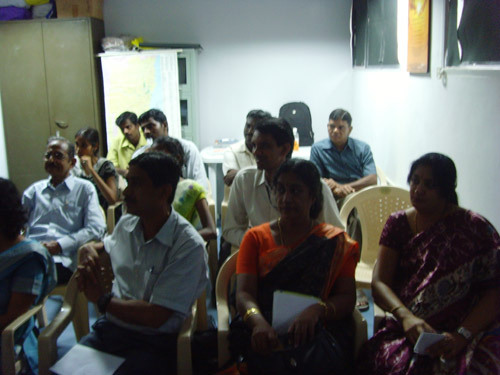 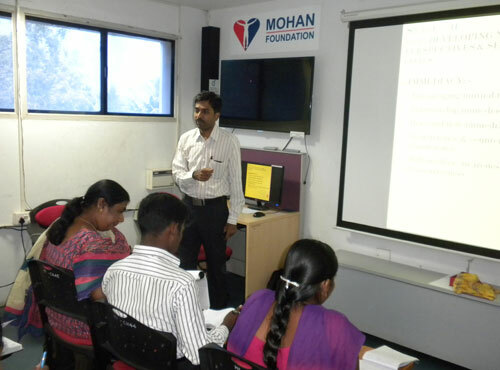 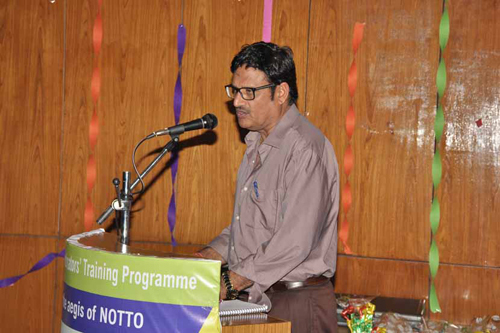 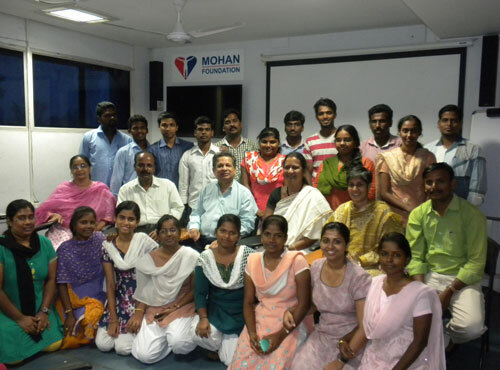 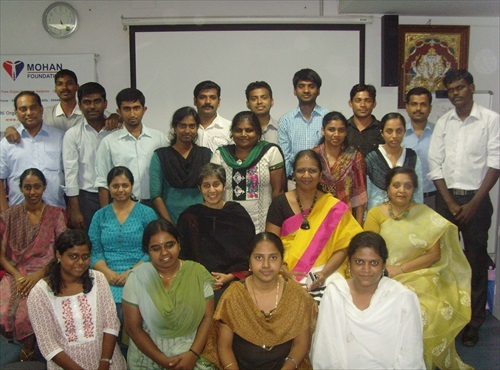 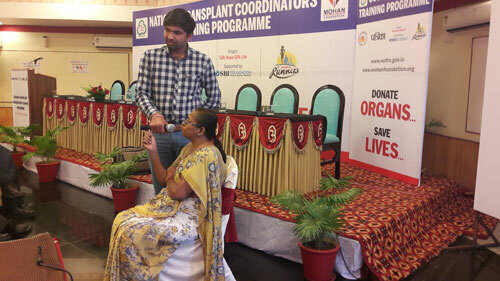 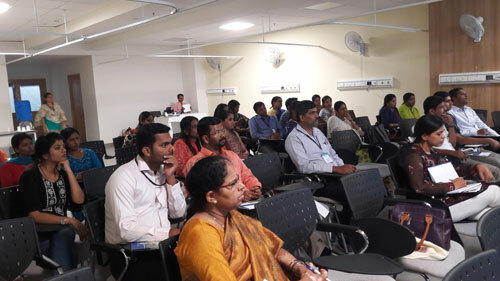 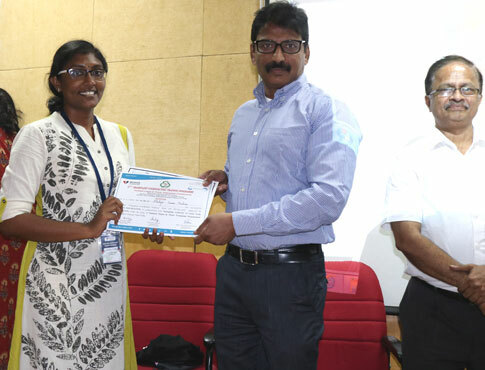 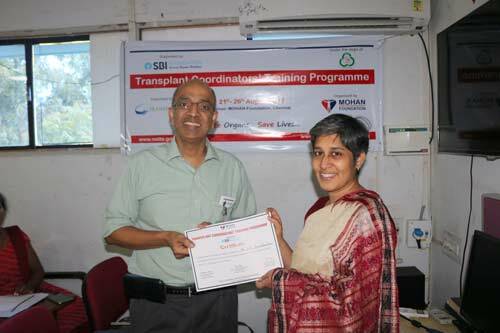 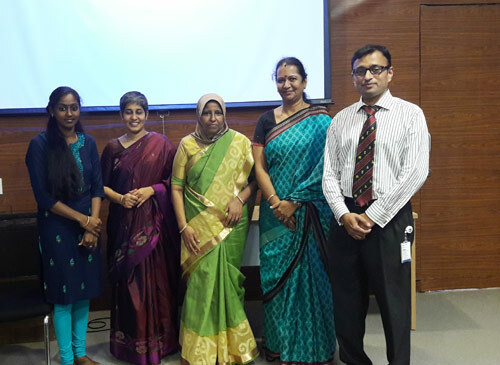 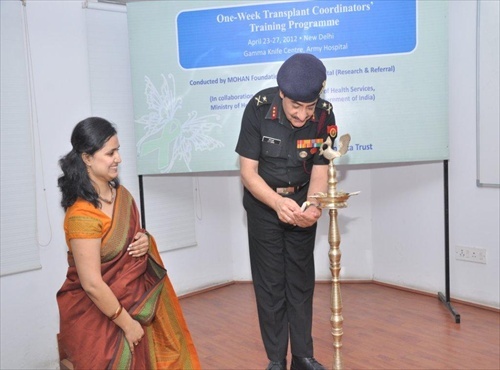 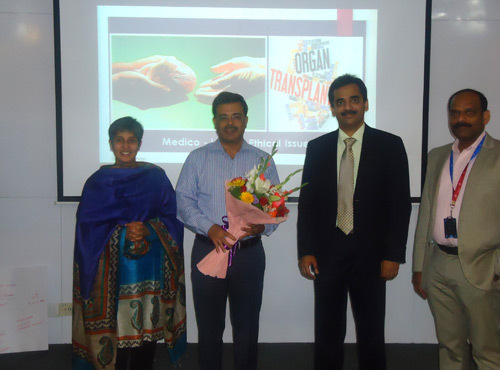 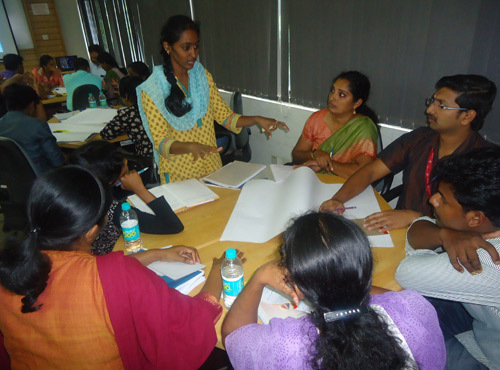 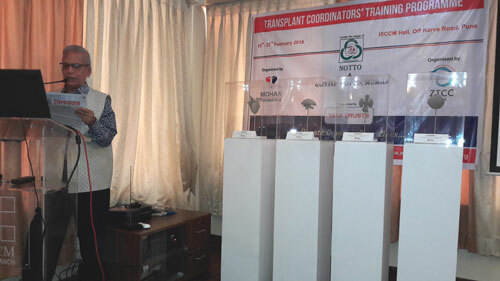 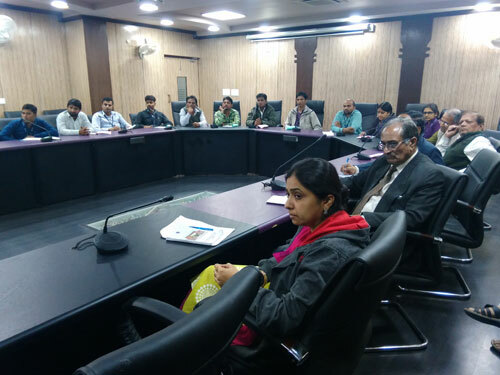 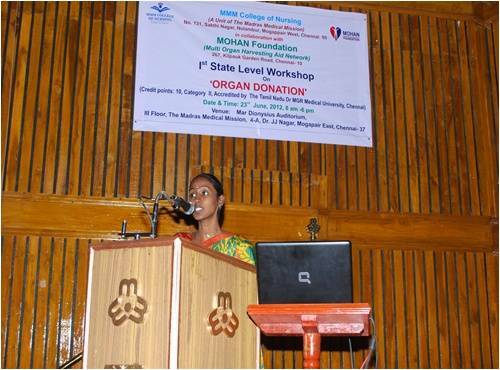 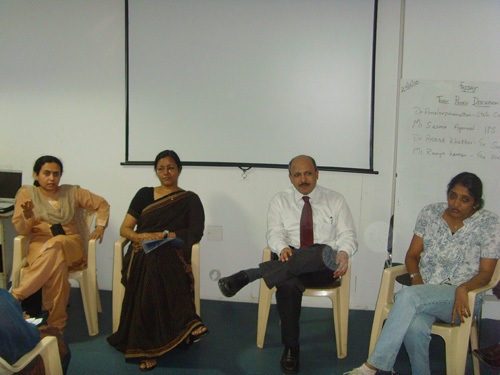 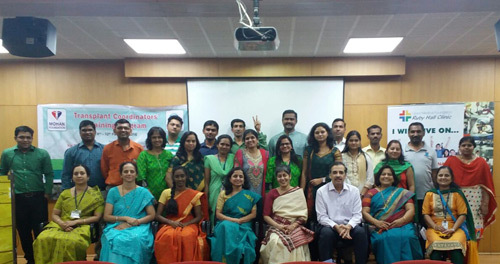 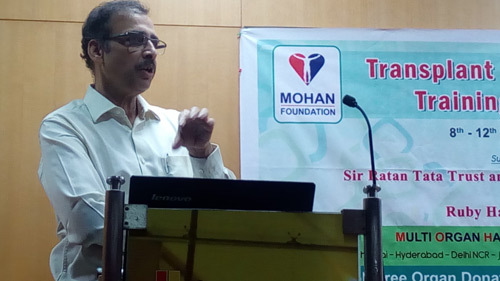 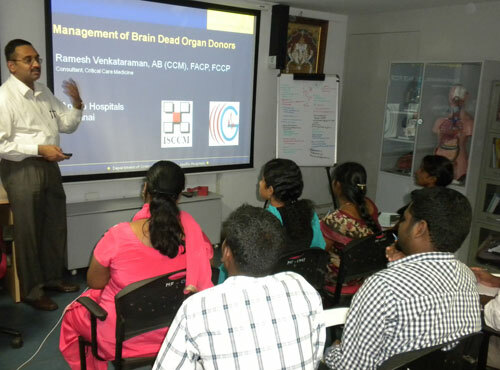 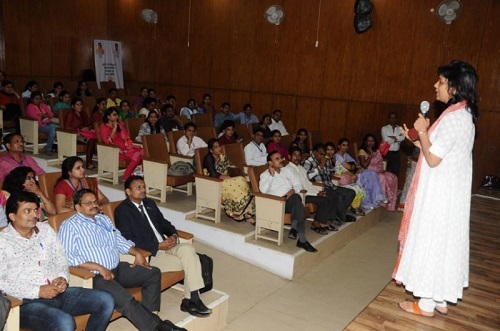 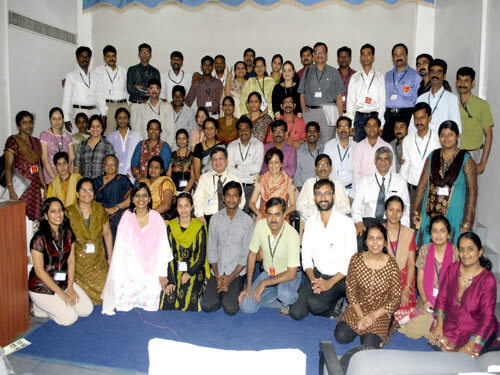 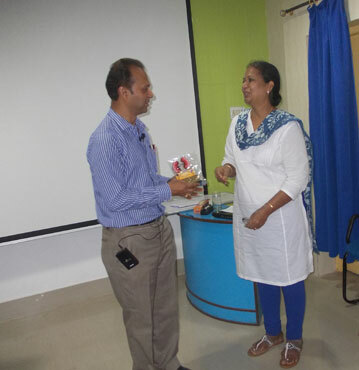 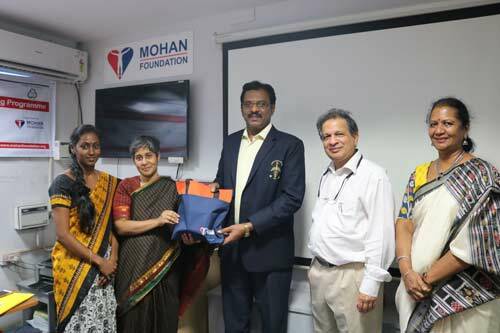 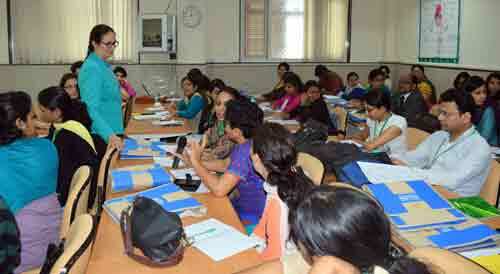 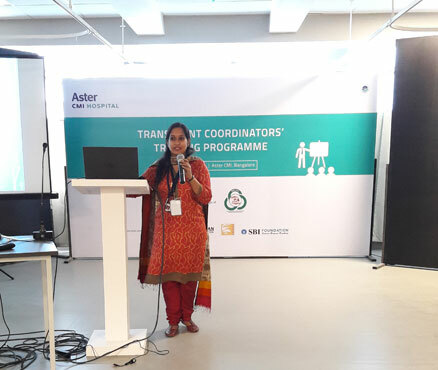 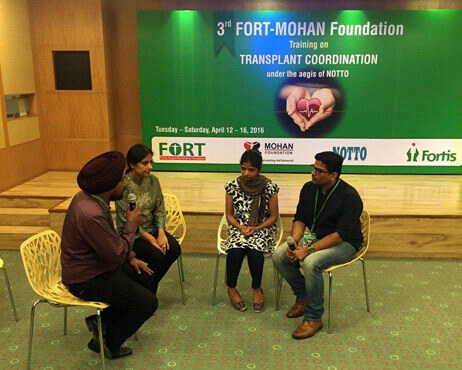 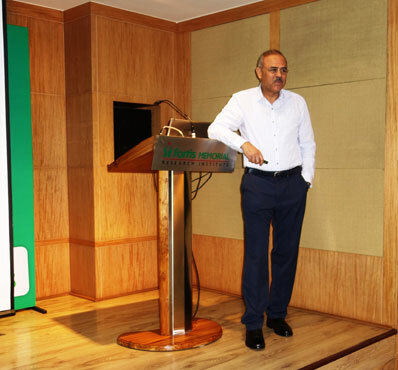 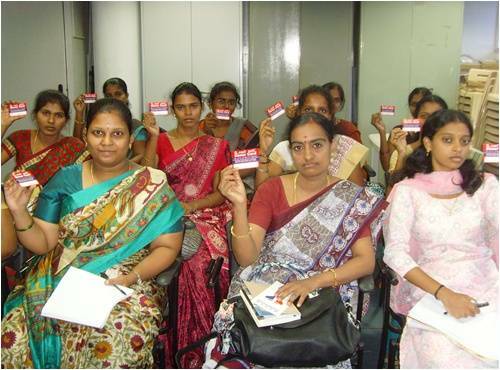 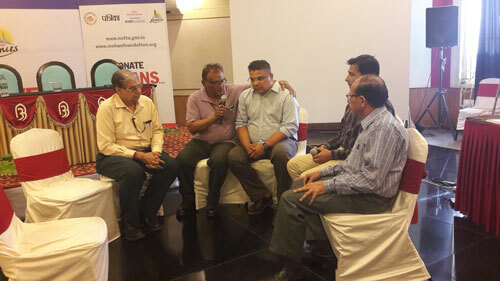 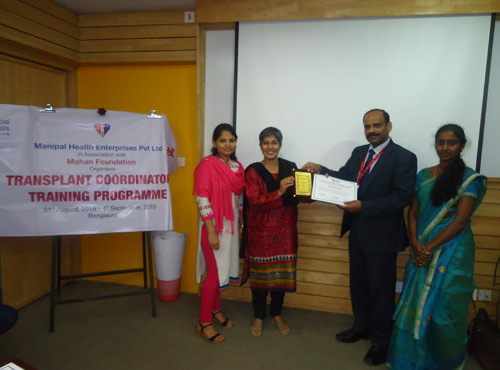 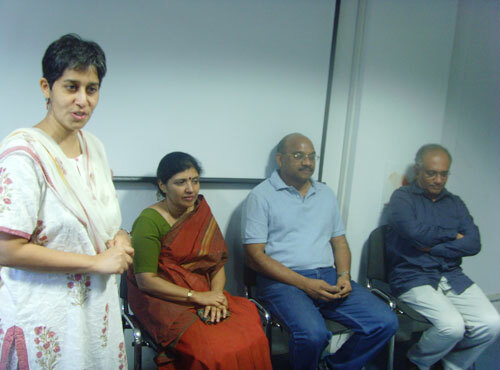 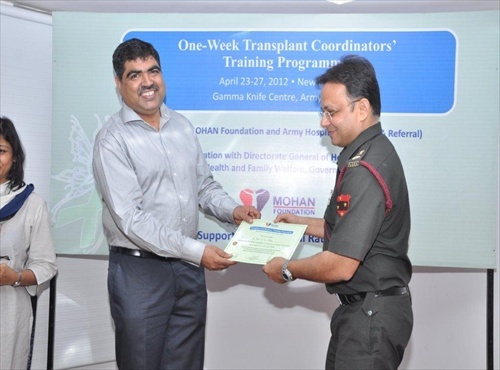 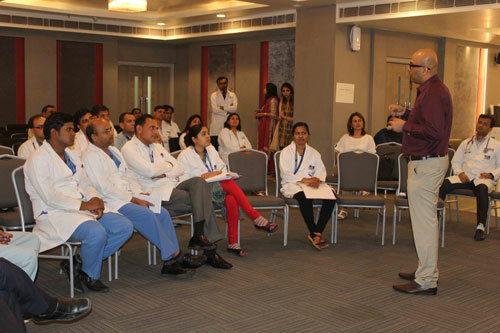 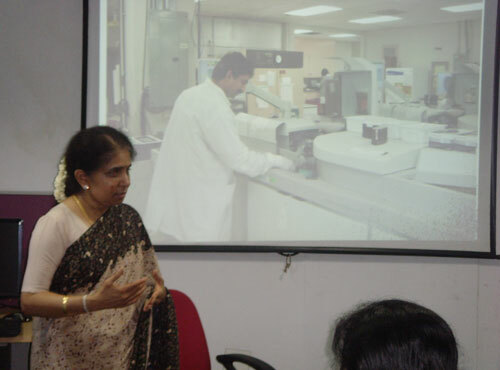 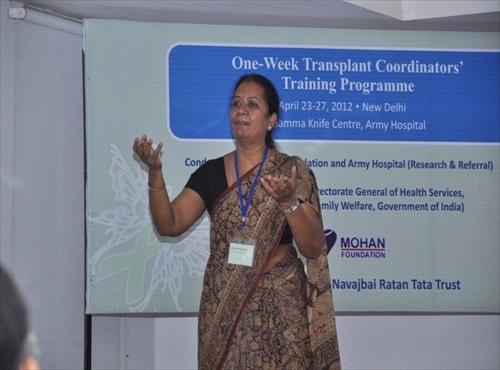 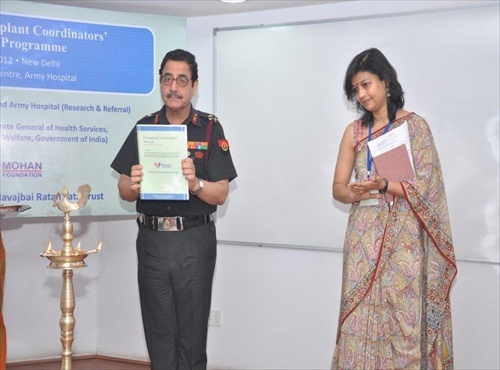 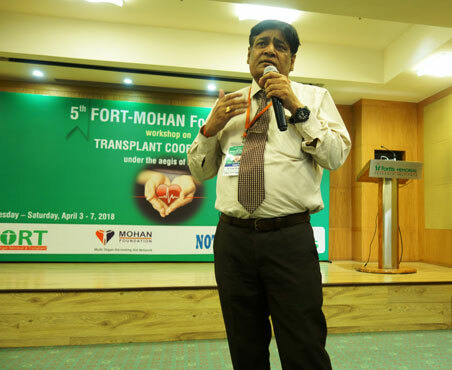 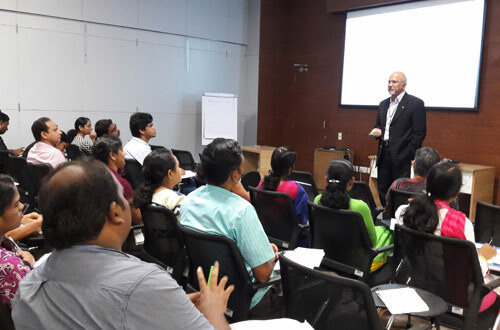 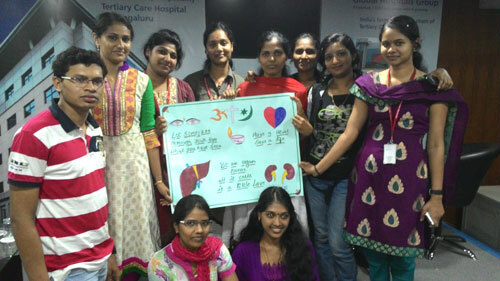 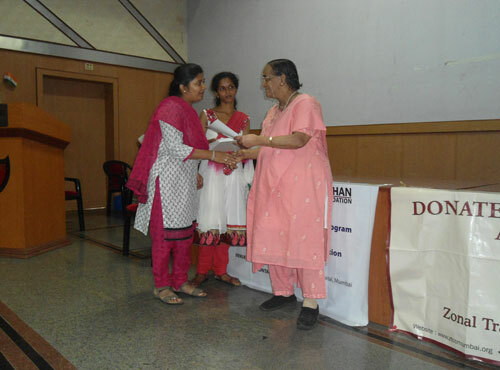 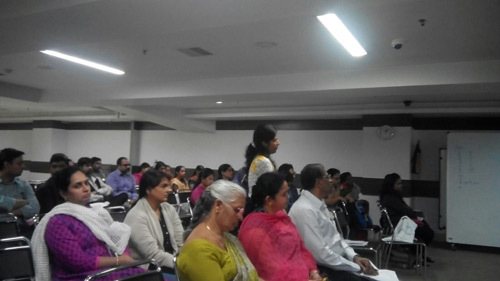 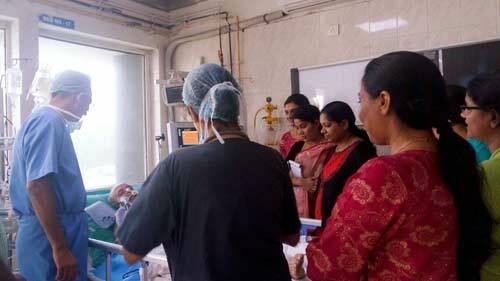 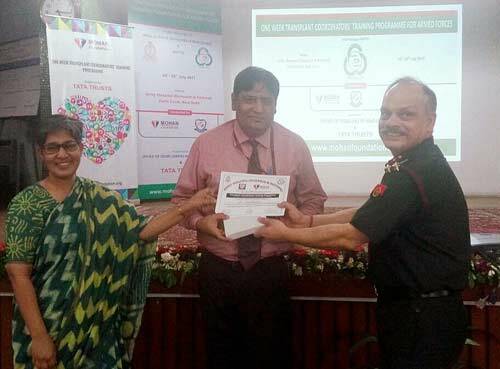 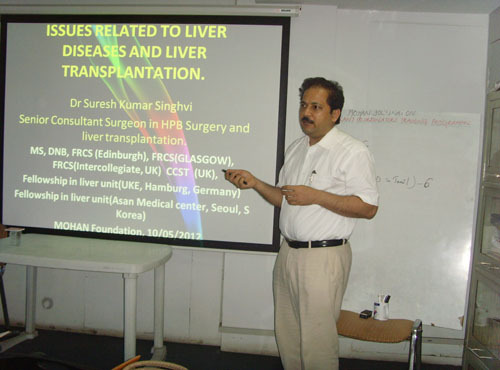 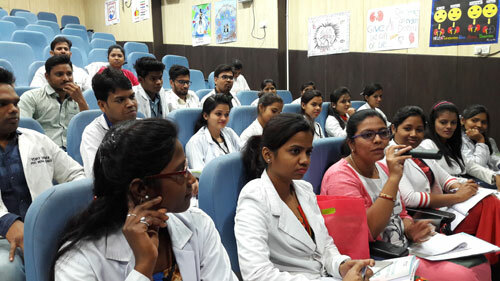 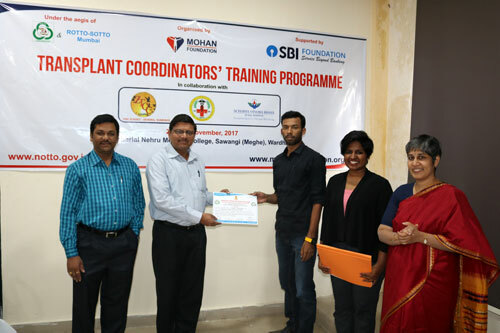 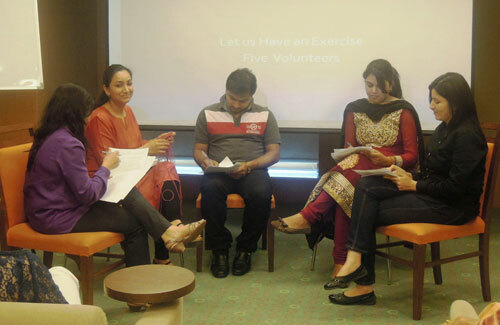 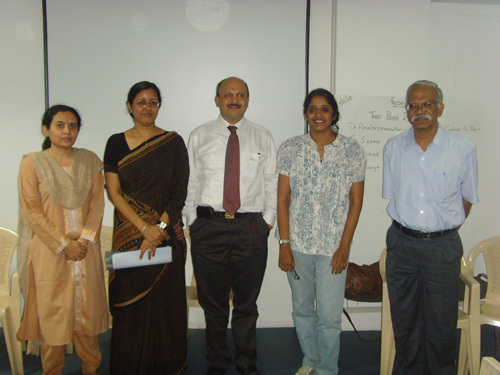 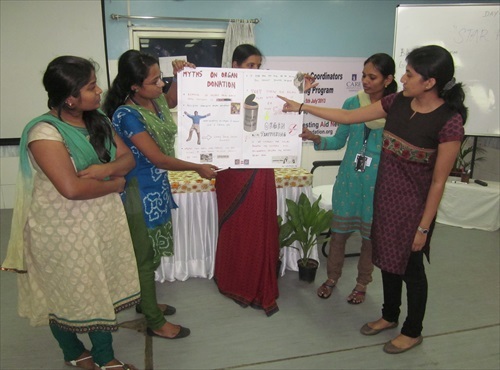 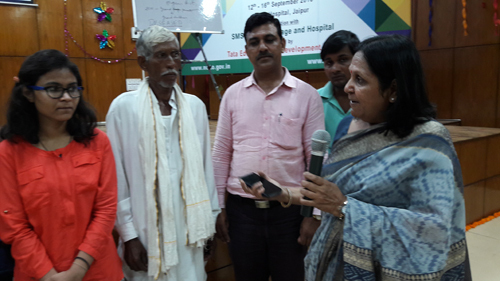 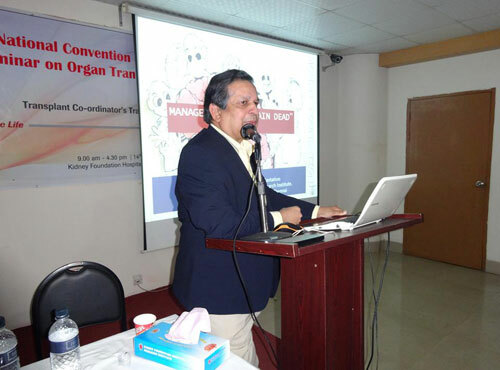 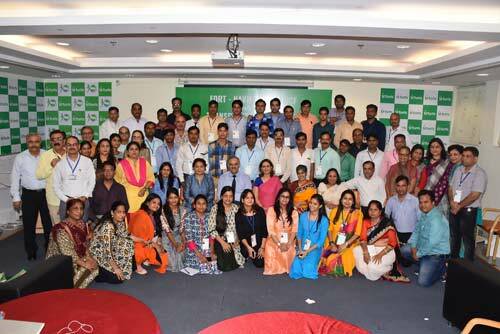 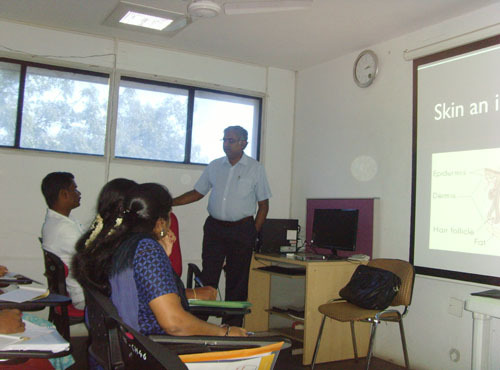 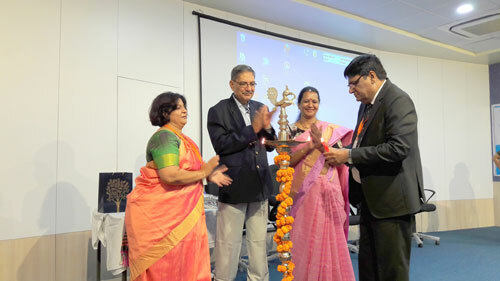 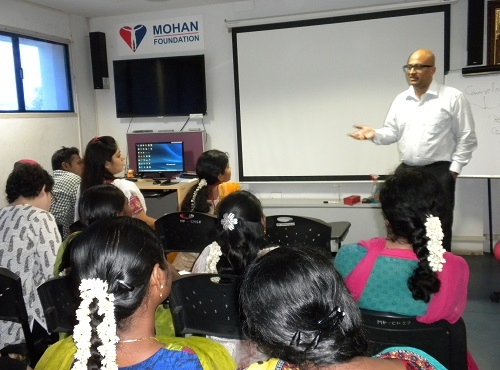 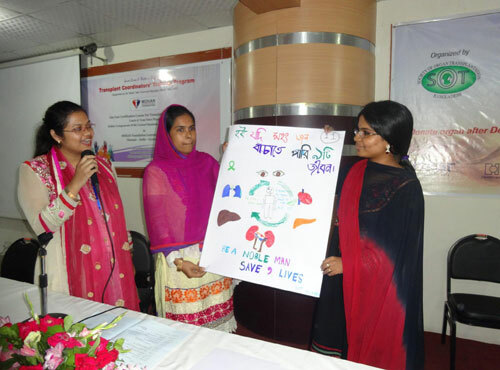 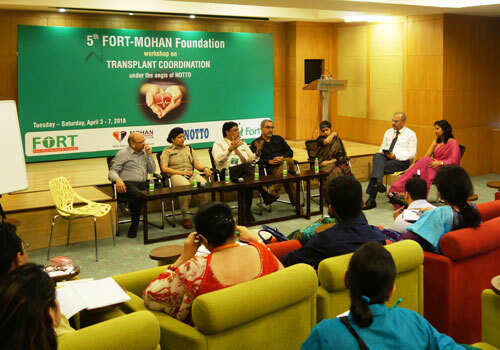 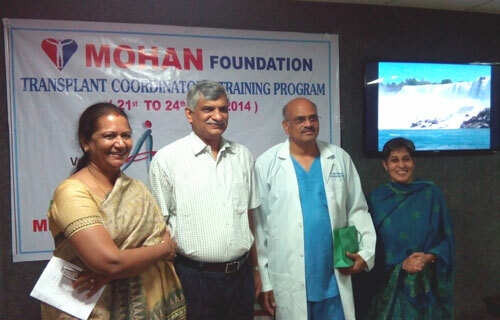 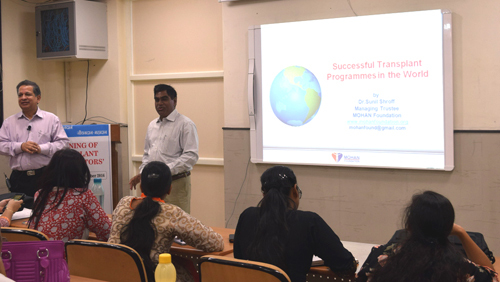 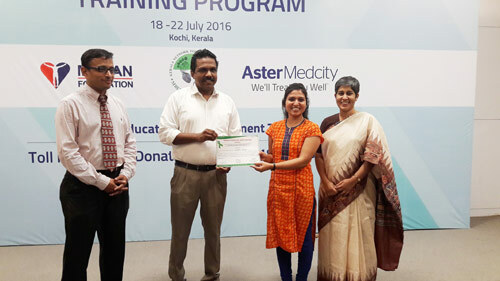 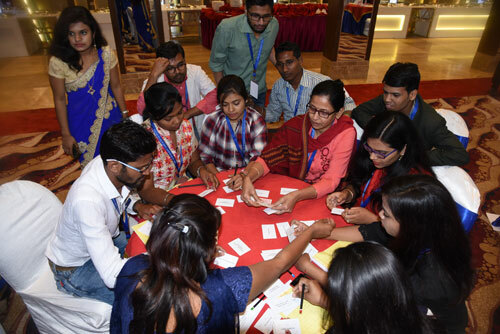 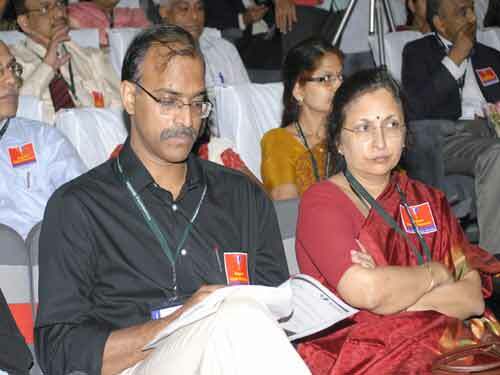 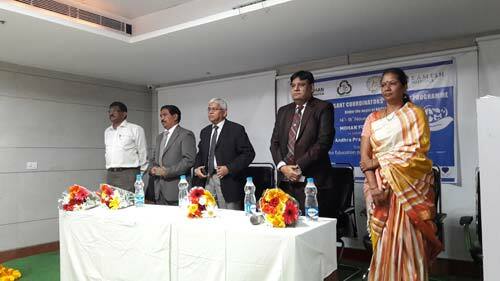 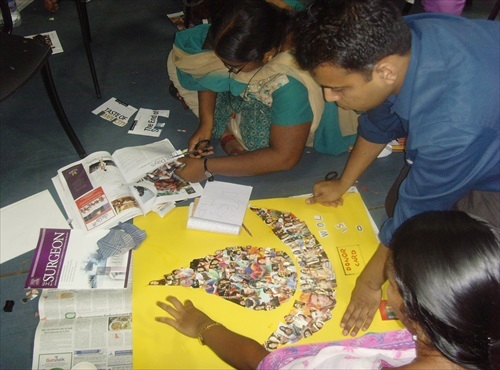 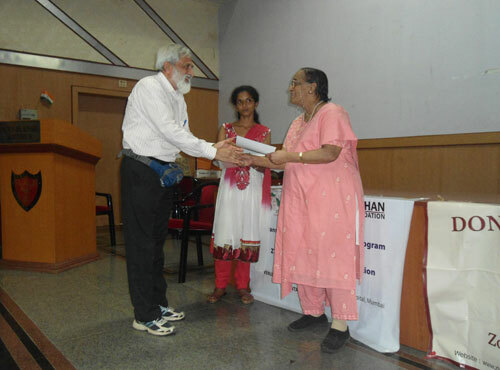 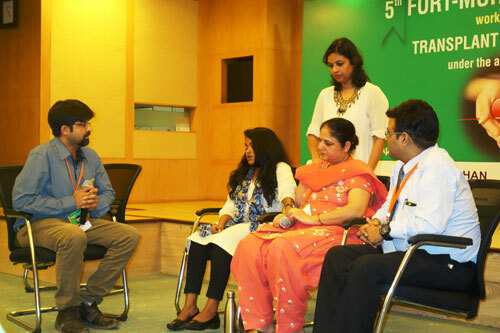 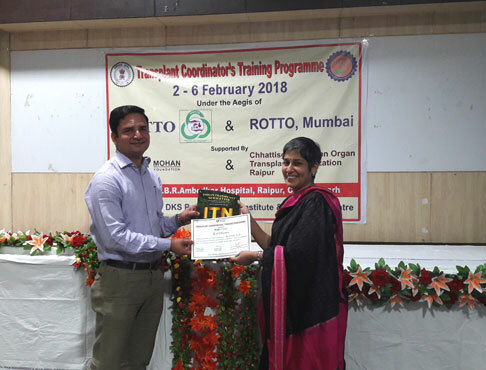 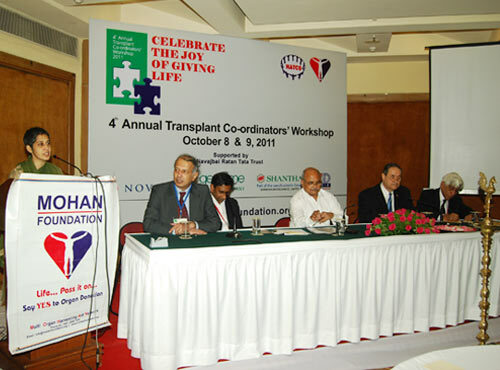 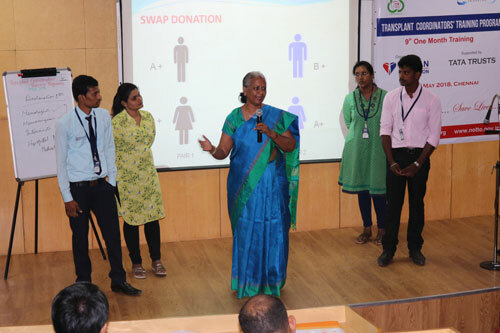 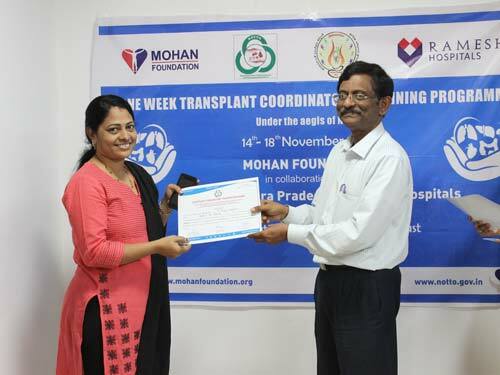 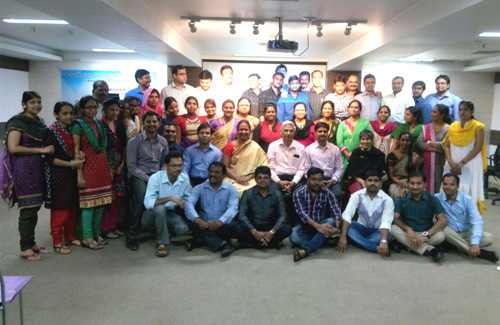 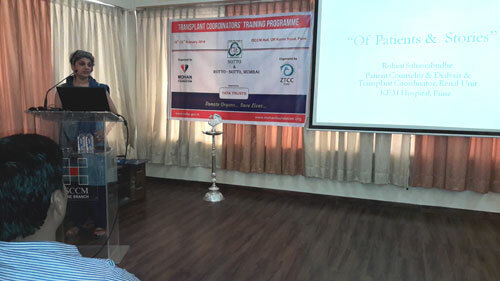 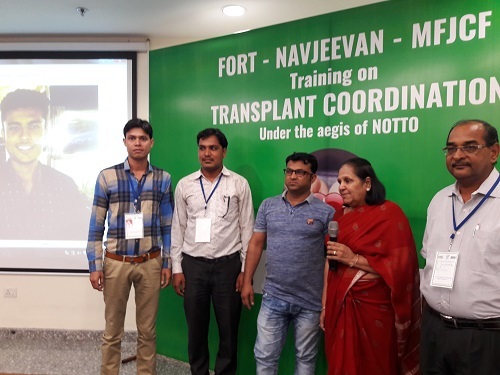 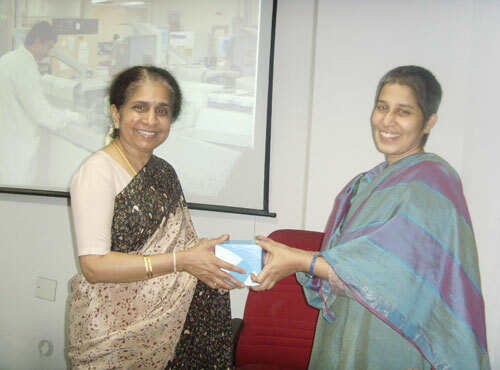 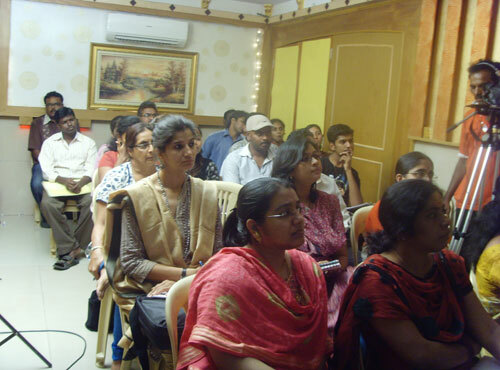 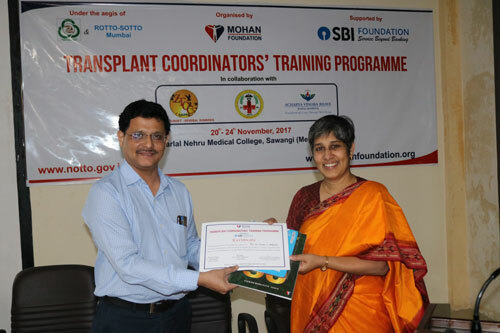 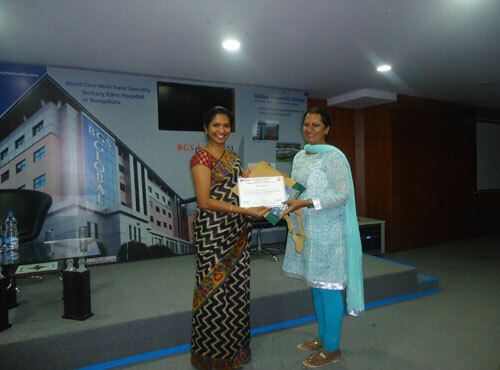 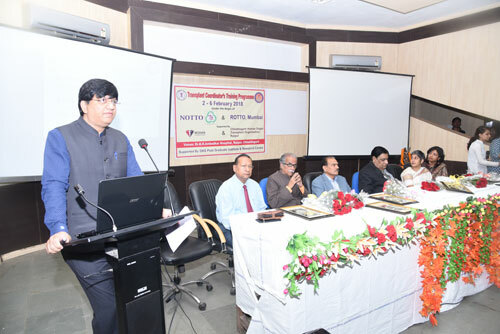 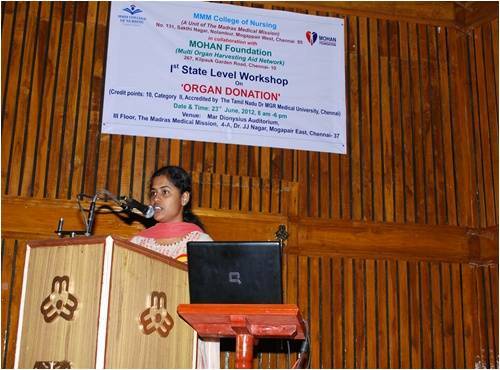 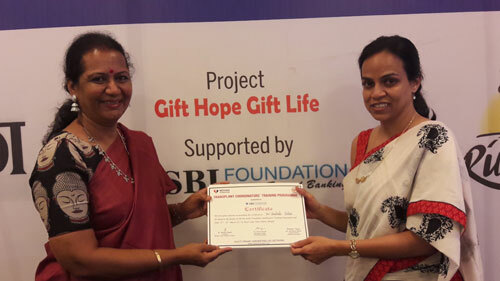 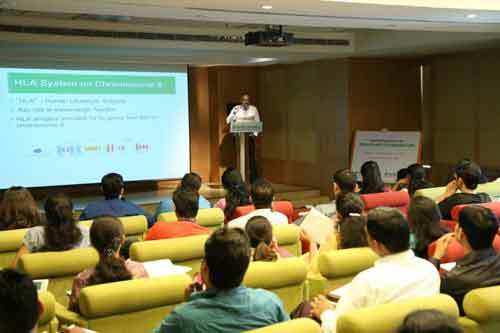 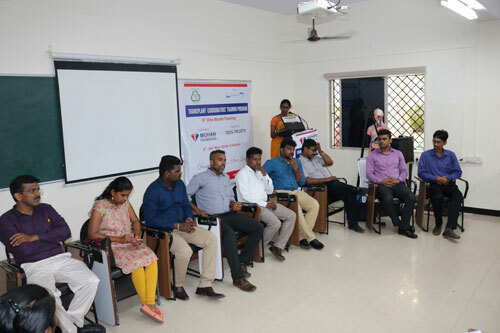 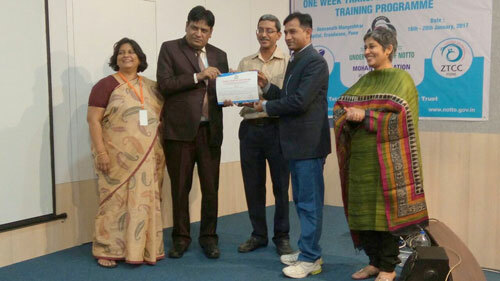 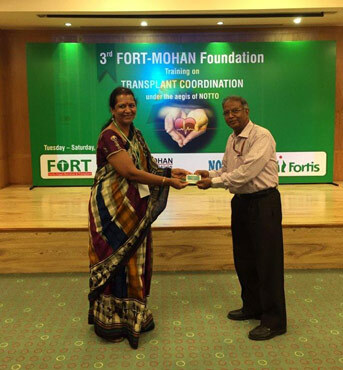 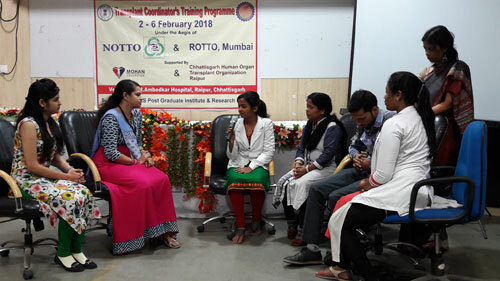 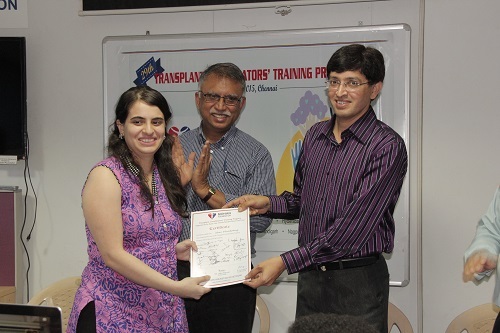 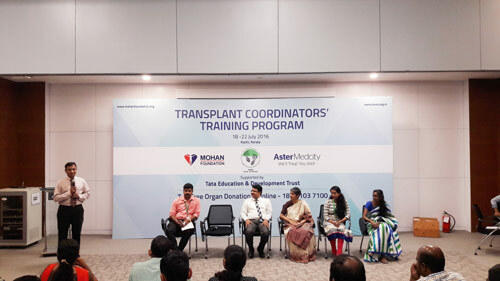 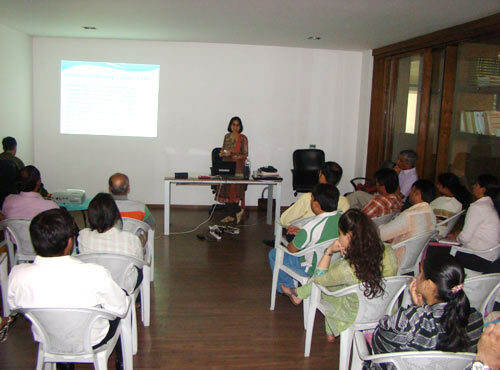 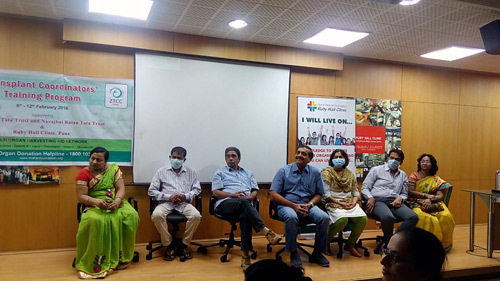 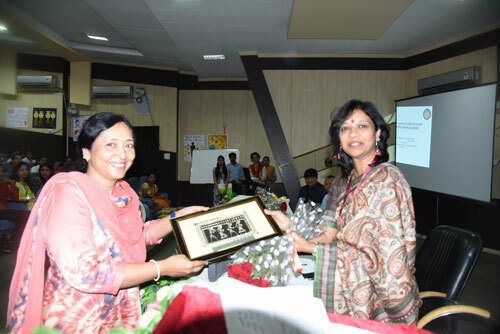 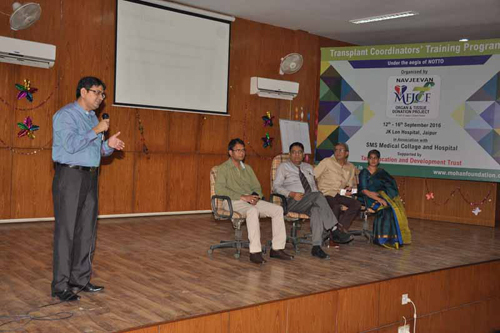 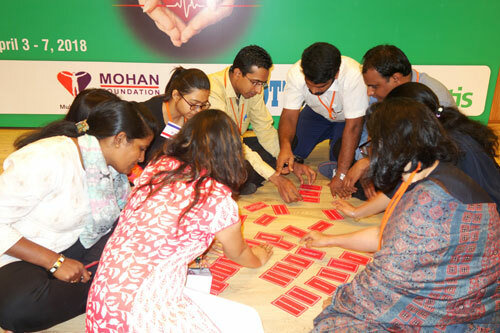 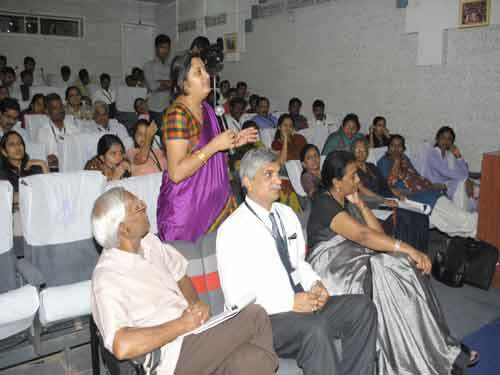 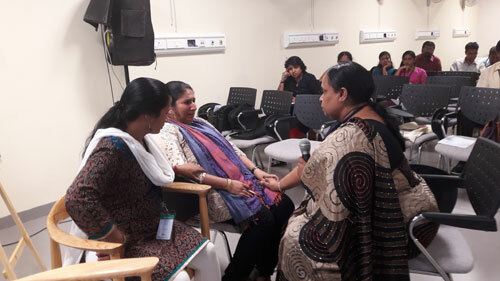 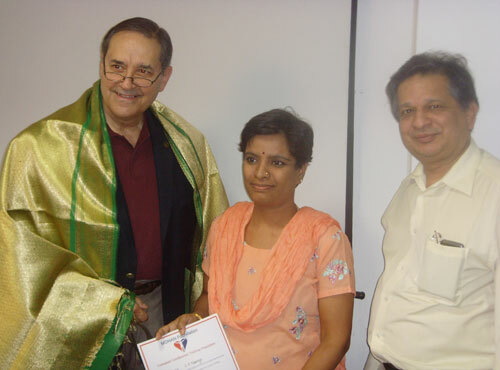 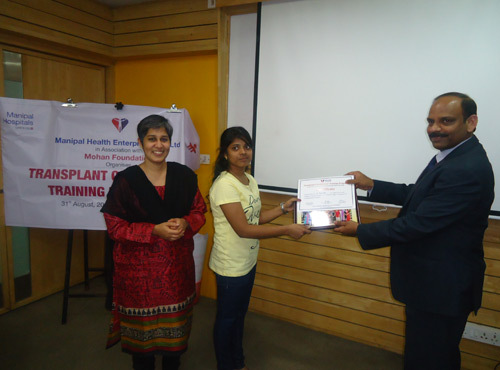 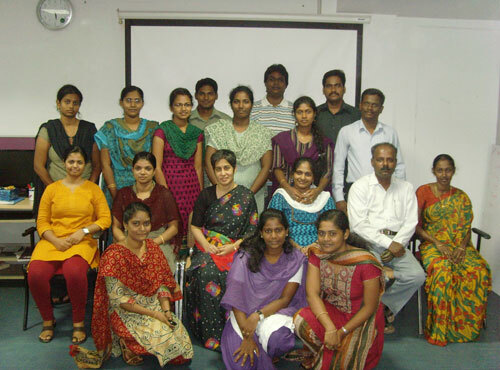 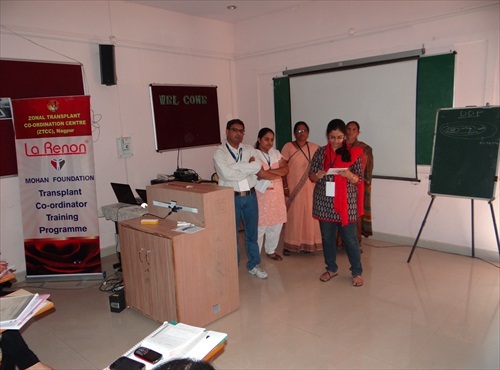 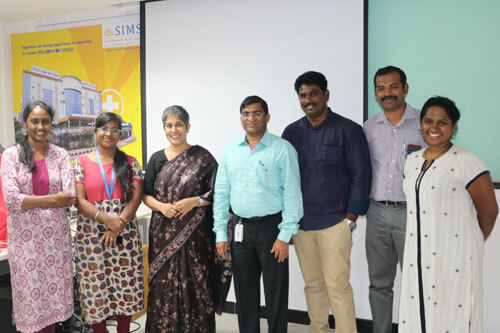 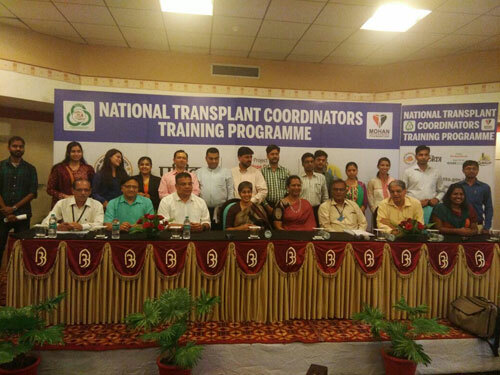 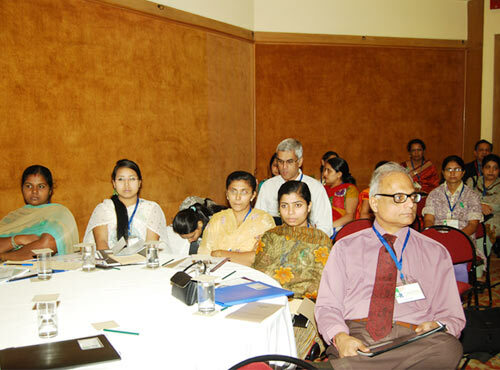 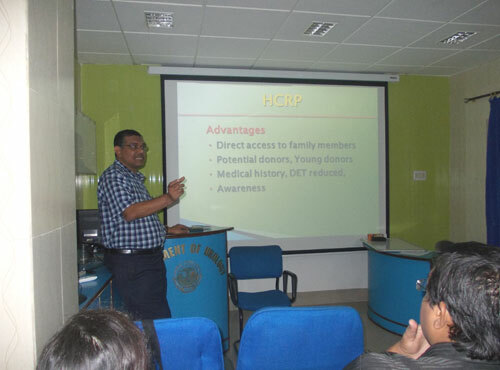 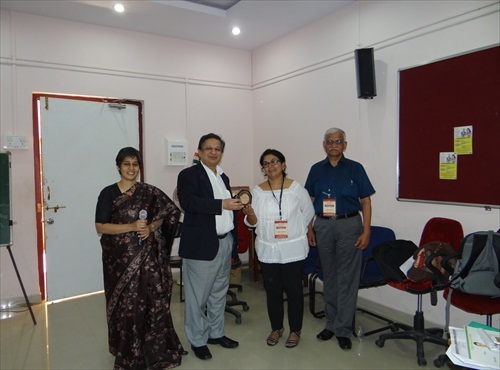 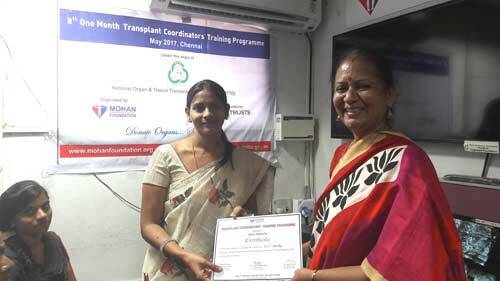 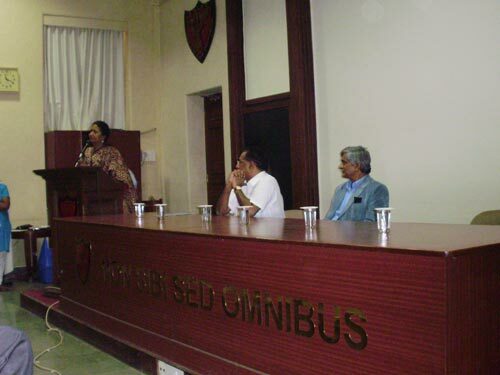 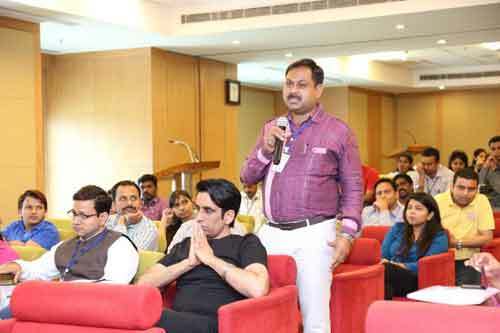 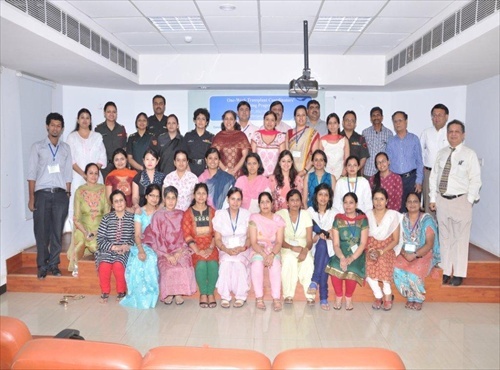 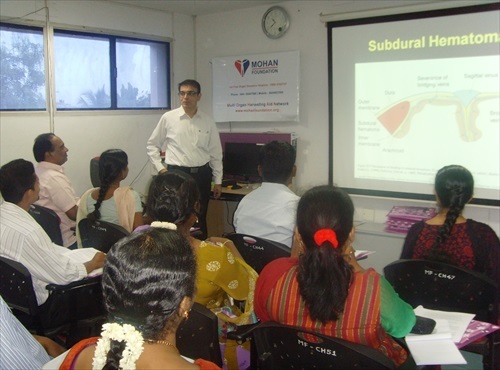 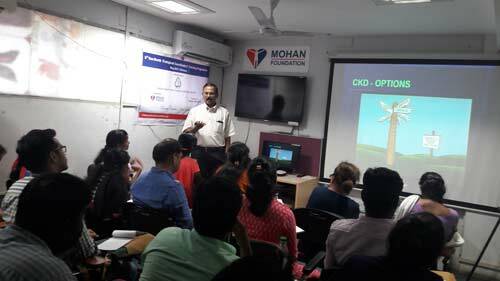 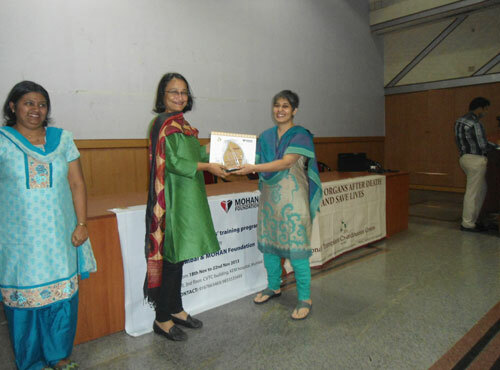 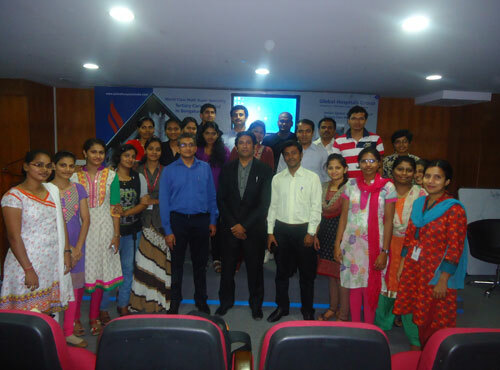 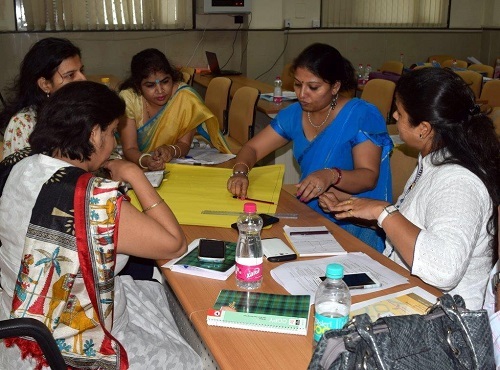 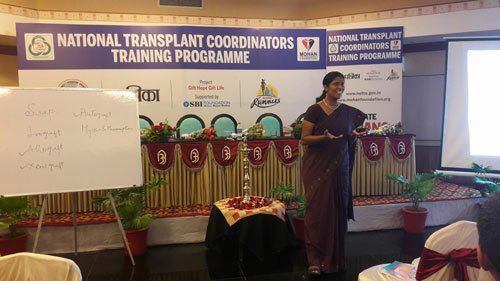 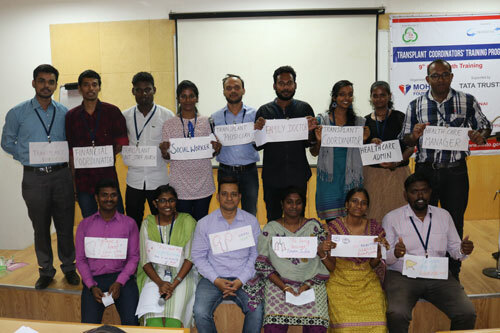 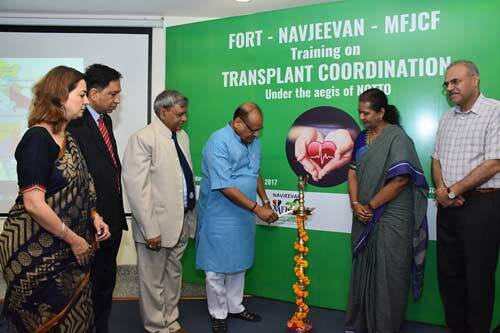 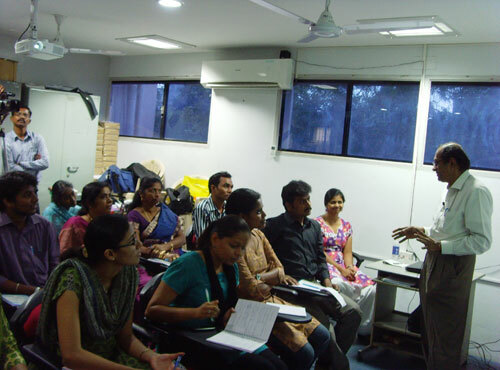 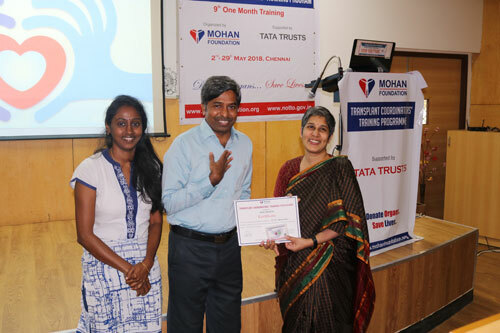 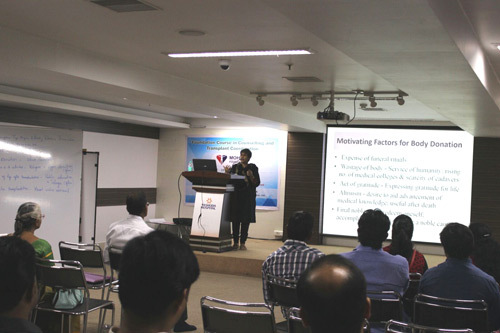 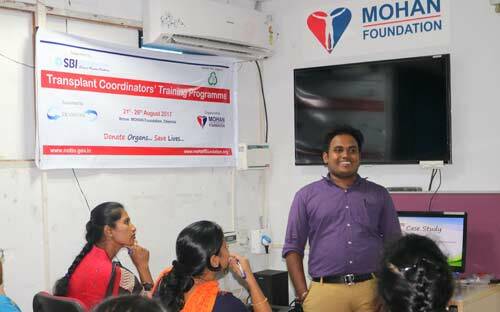 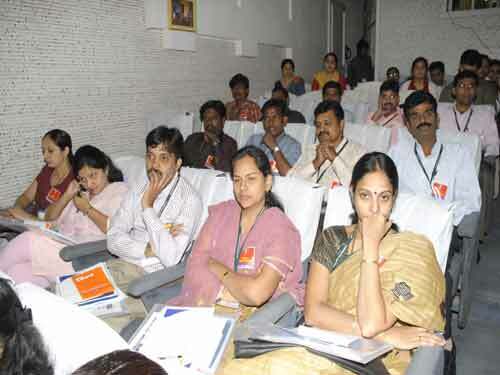 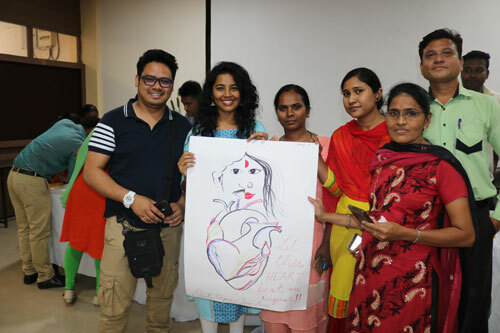 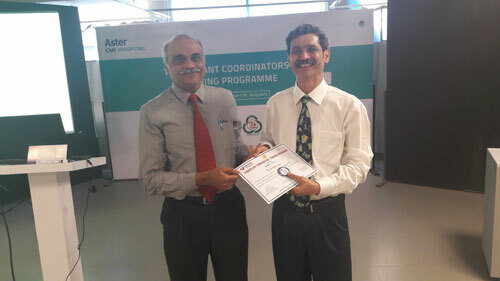 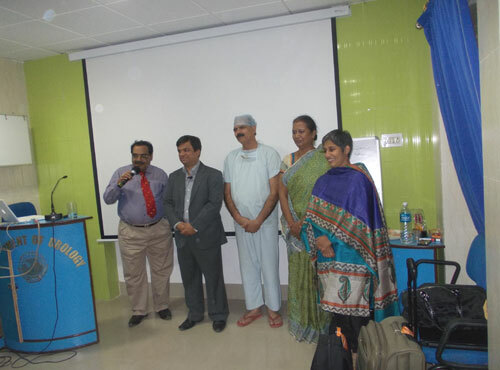 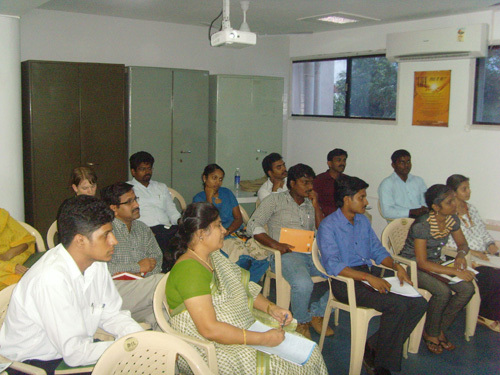 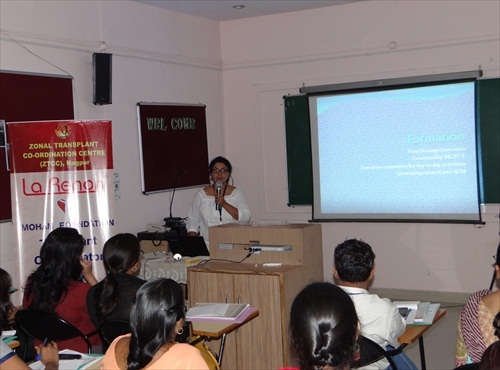 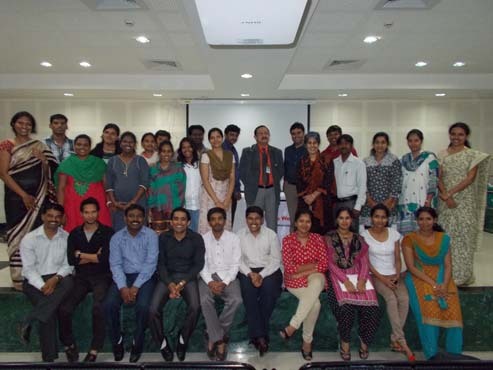 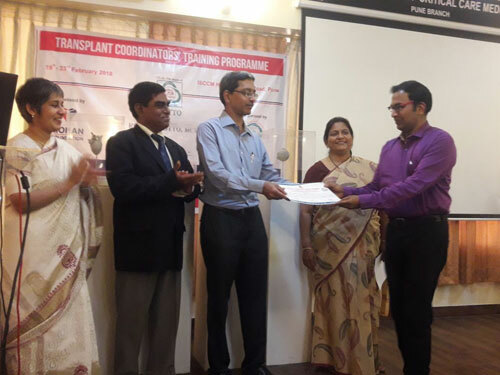 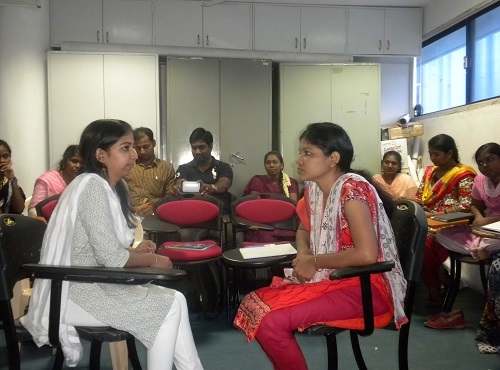 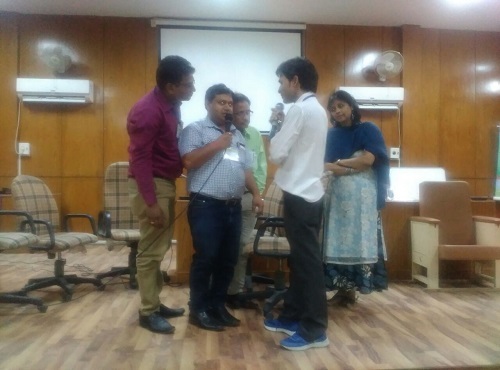 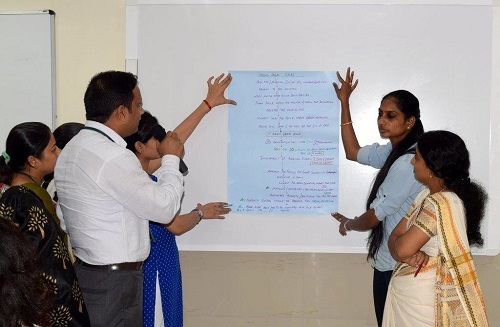 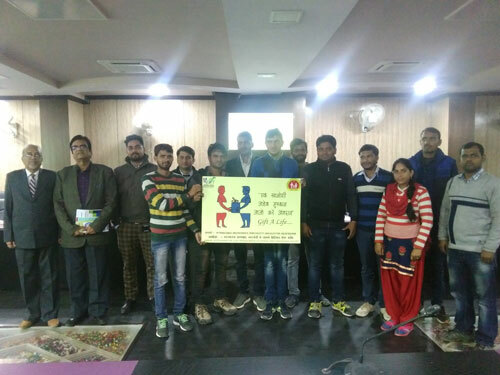 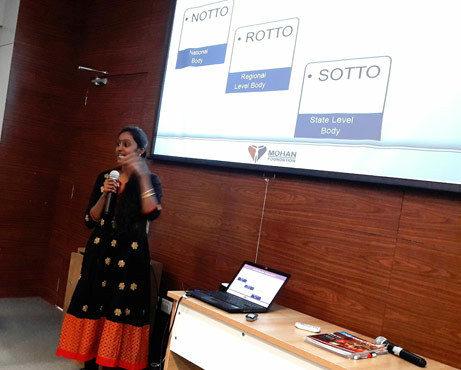 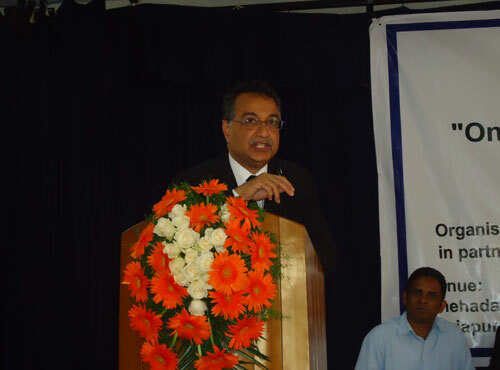 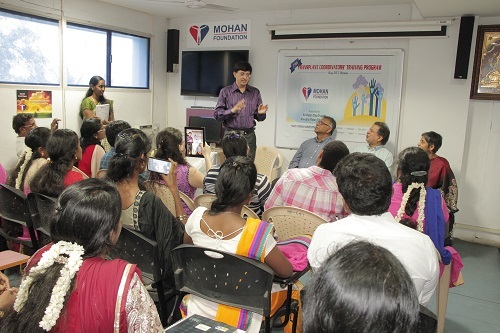 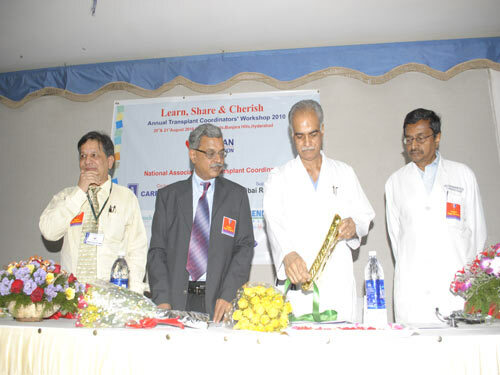 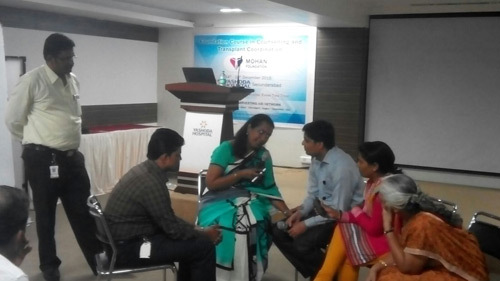 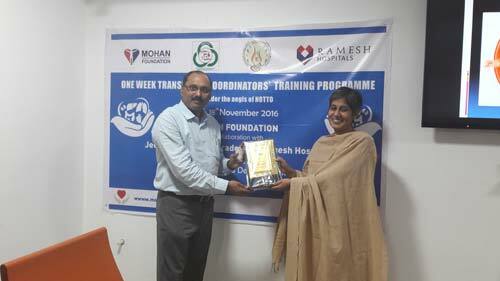 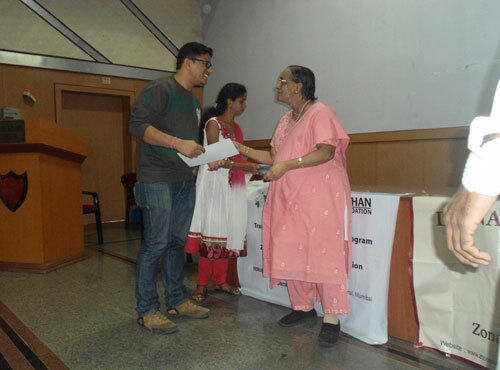 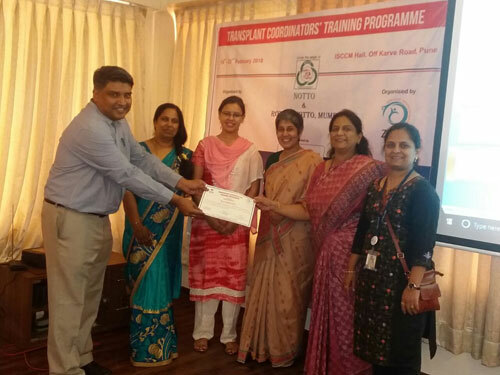 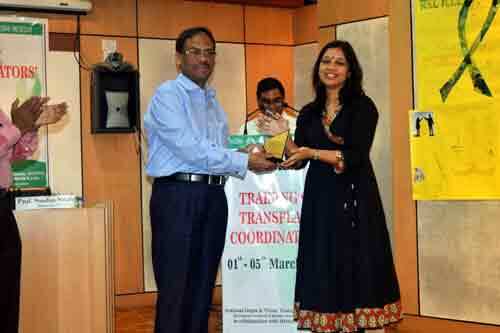 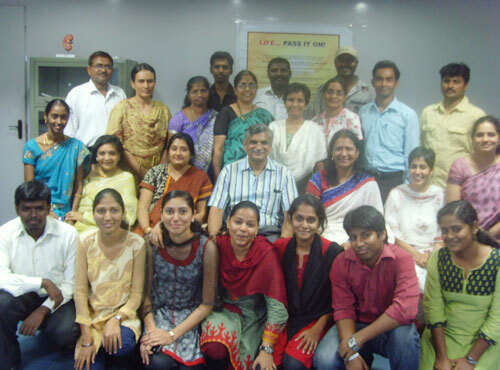 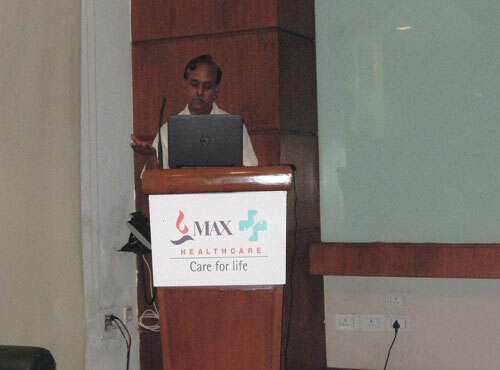 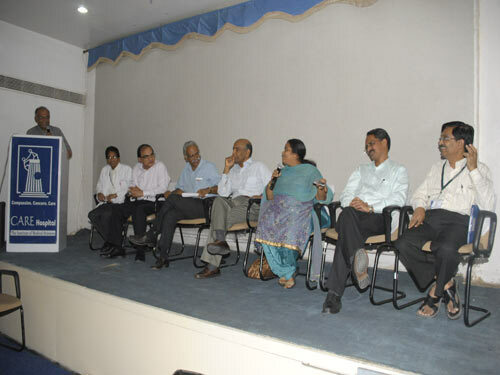 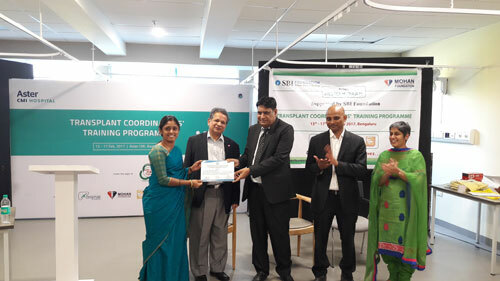 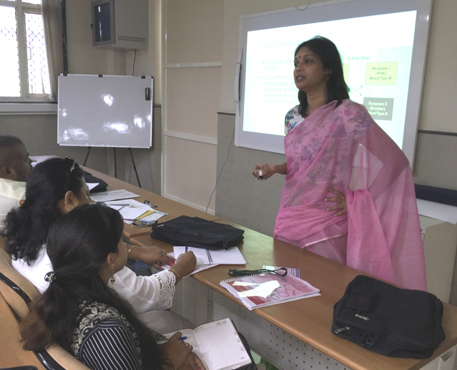 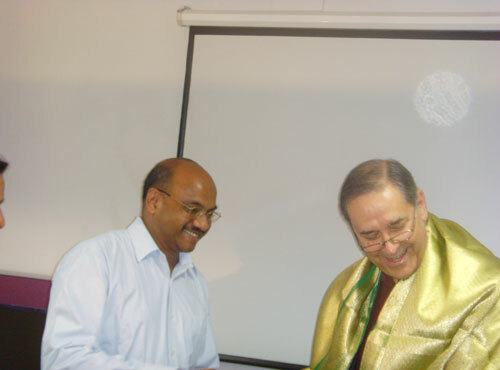 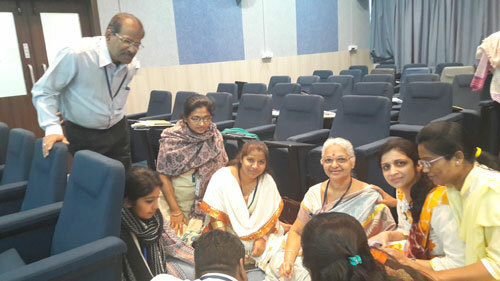 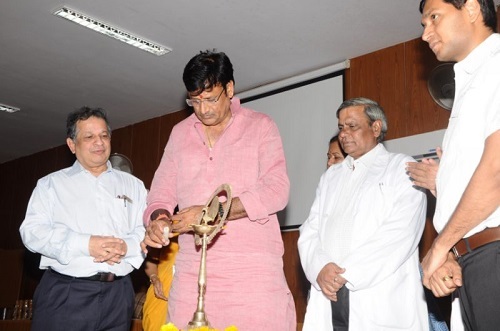 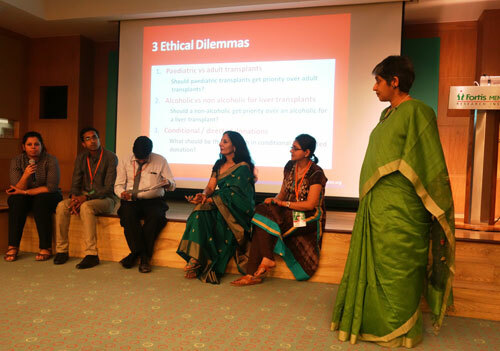 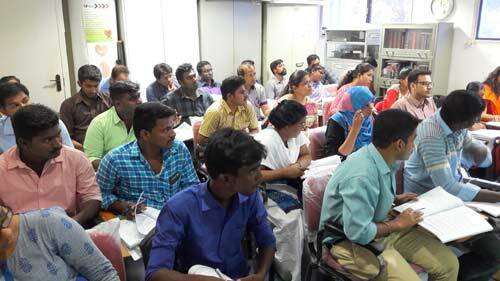 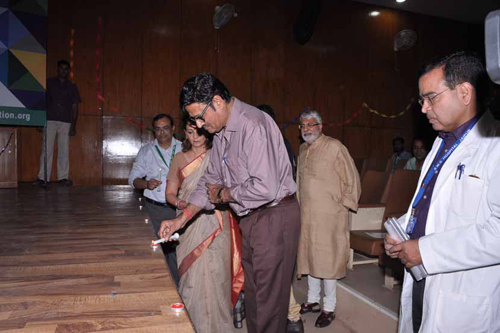 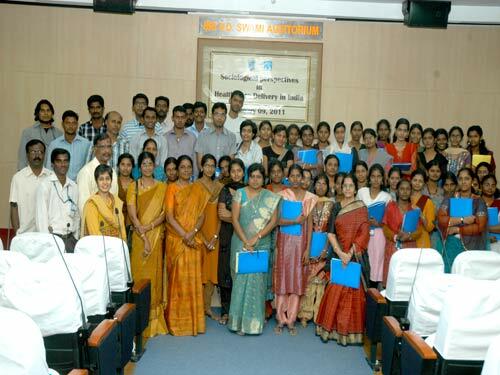 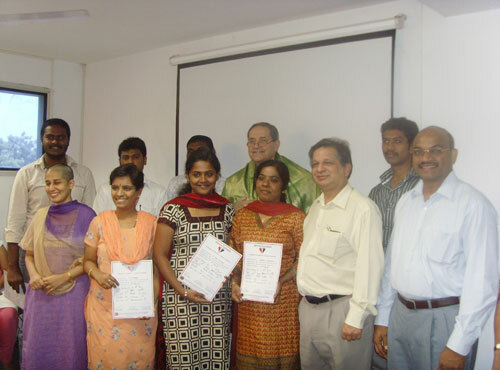 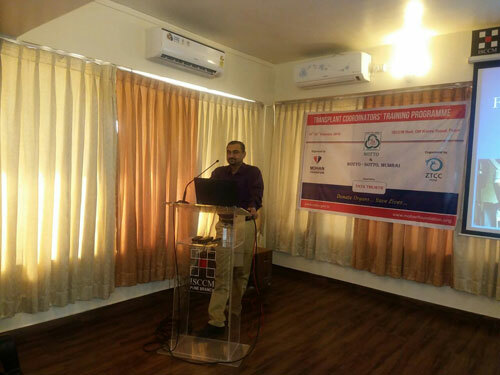 To address the training needs of this cadre of health-care professionals, MOHAN Foundation started the "Transplant Coordinators’ Training Programme" - the first structured course in South Asia. 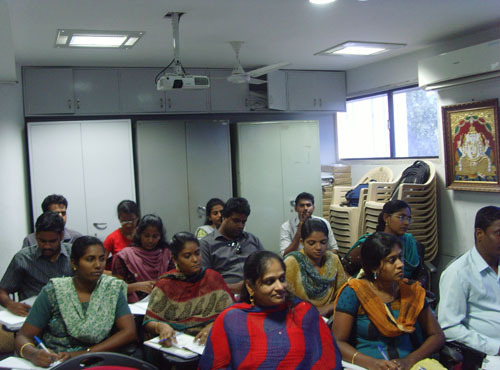 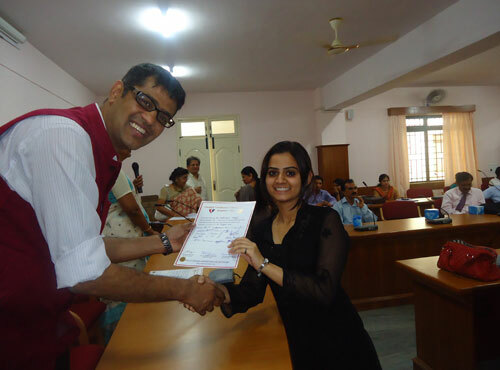 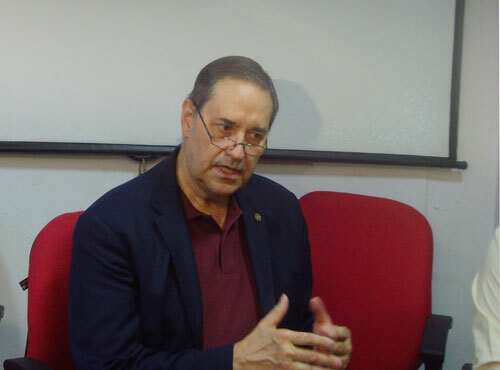 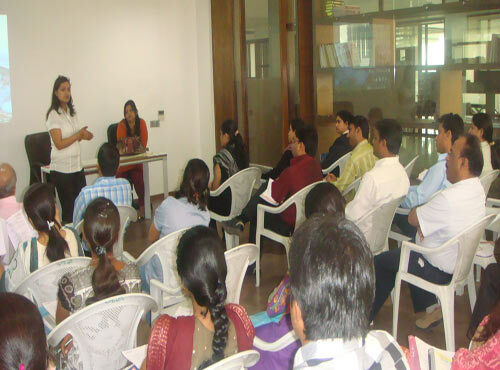 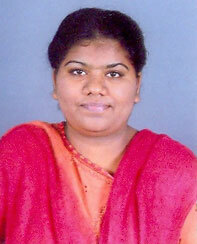 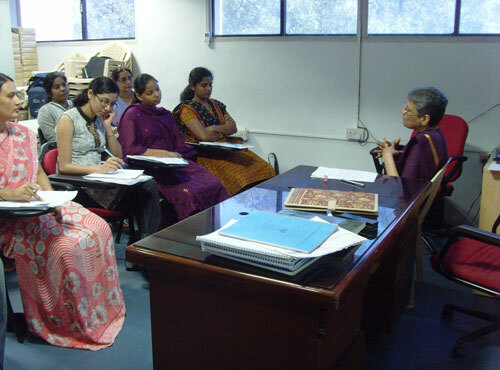 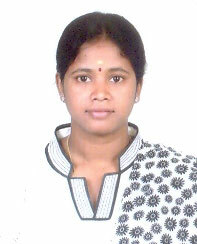 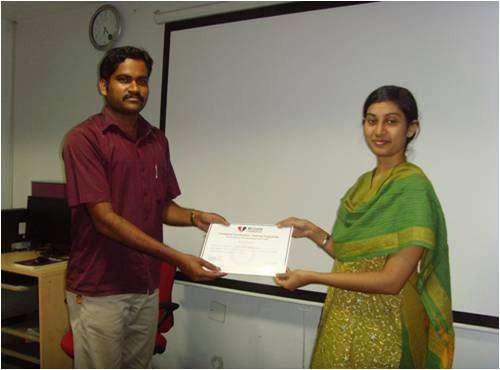 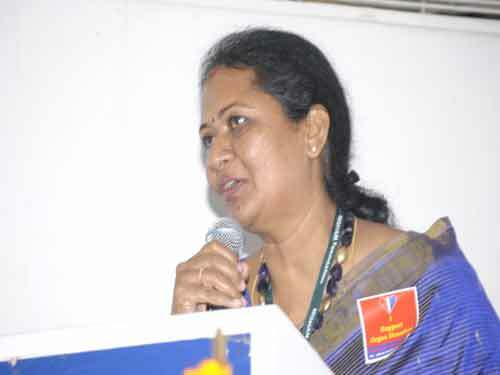 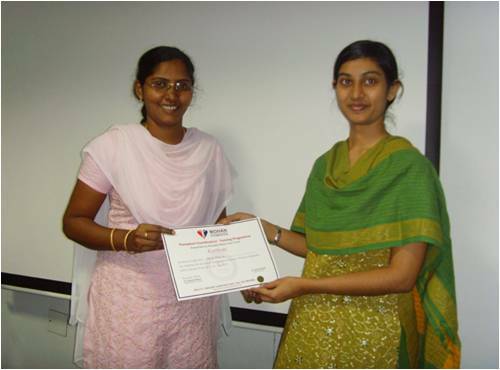 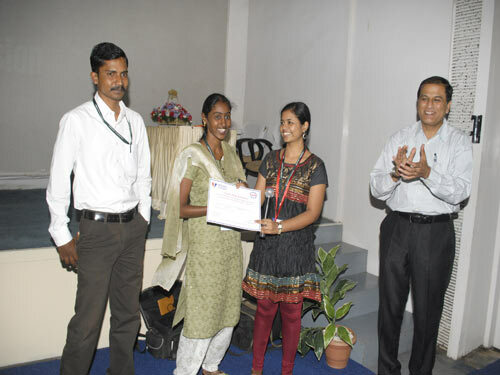 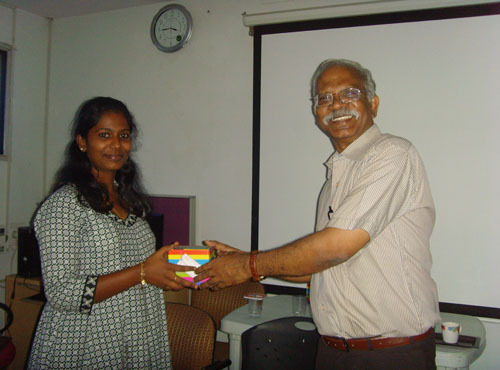 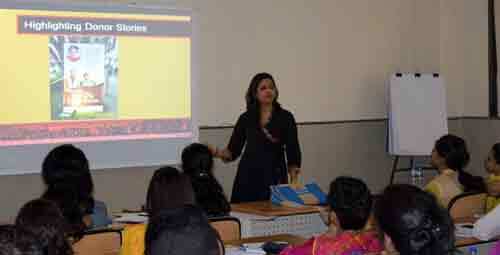 The courses have been tailored to suit the requirement of the candidates from both medical and non-medical background. 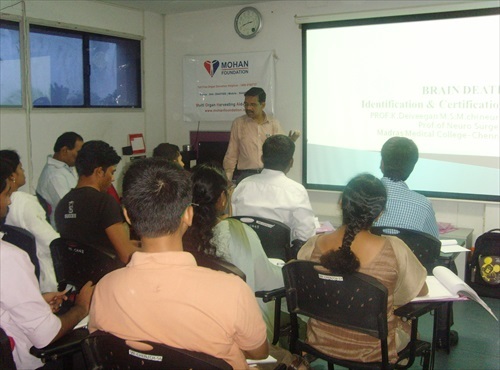 This course will provide weightage to the basic qualification of the candidates by providing them an insight into this complex field. 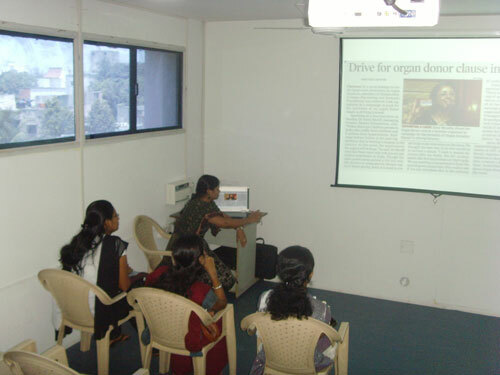 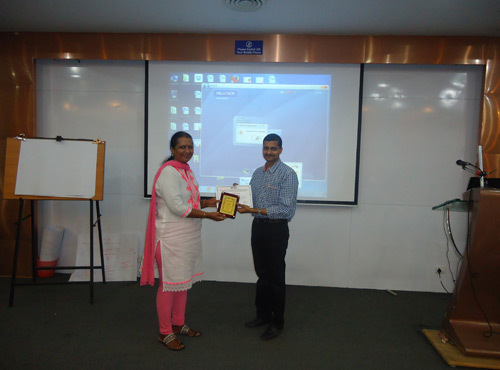 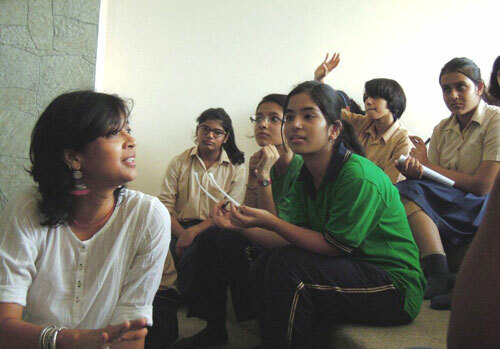 The registration for this course is subsidized due to part funding from Tata Education and Development Trust. 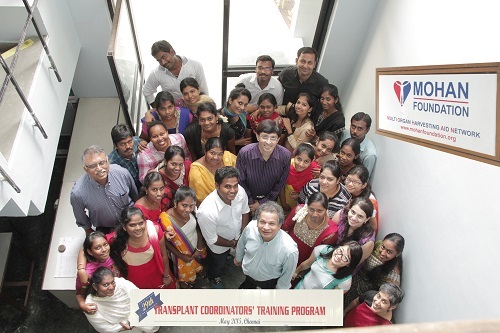 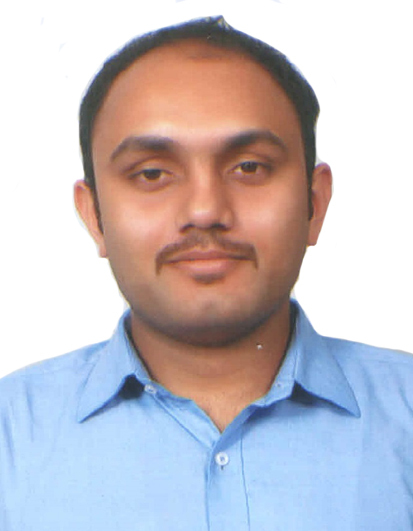 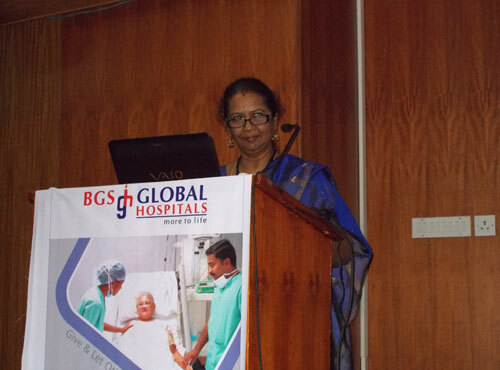 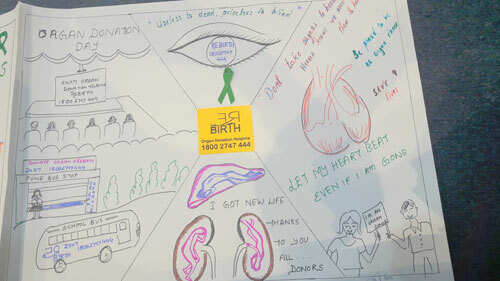 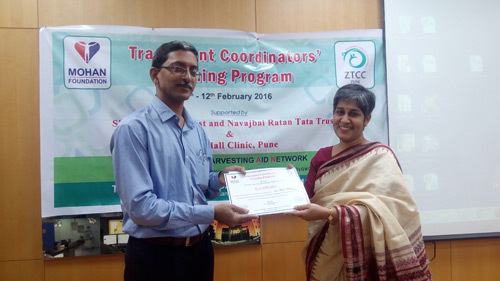 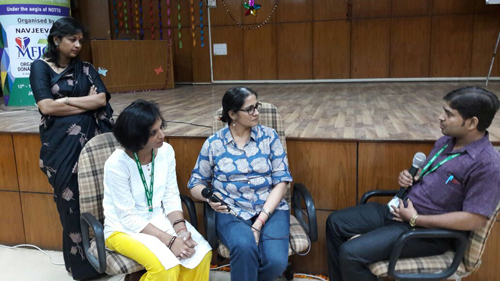 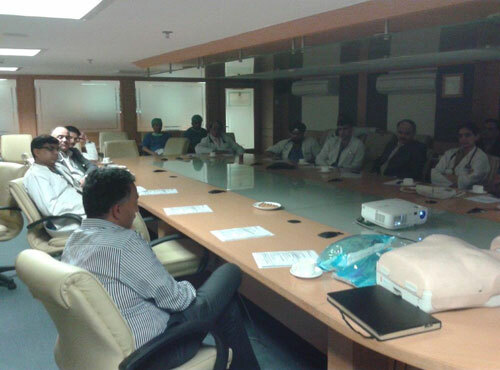 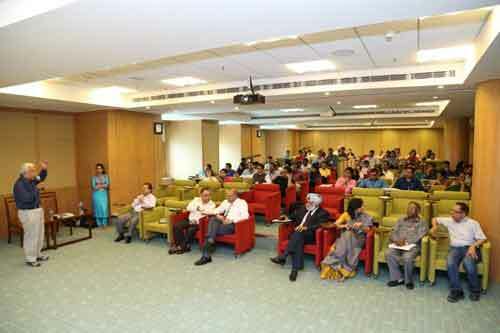 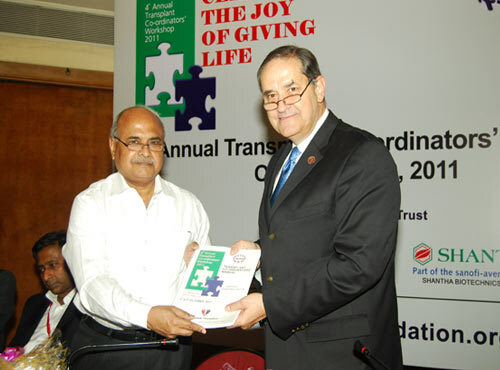 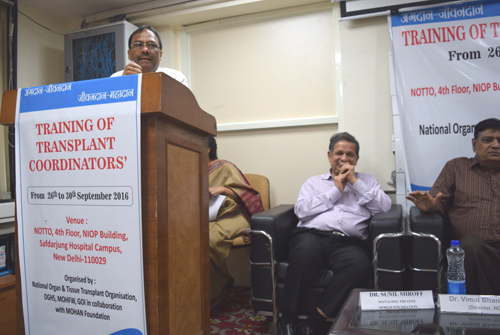 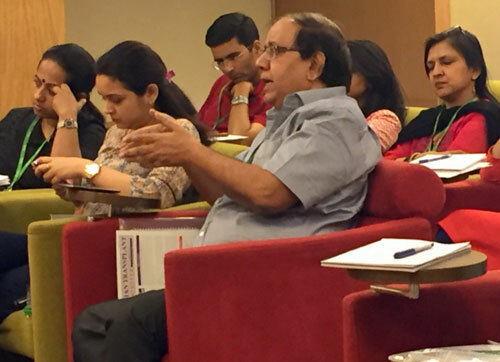 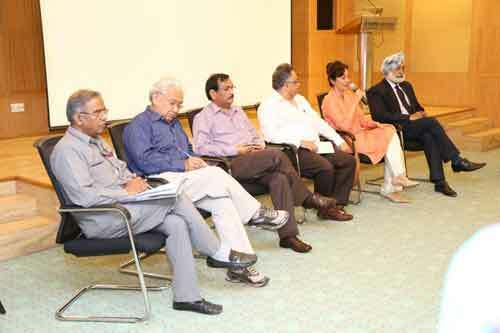 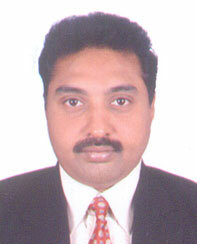 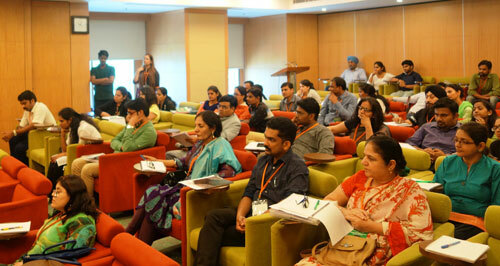 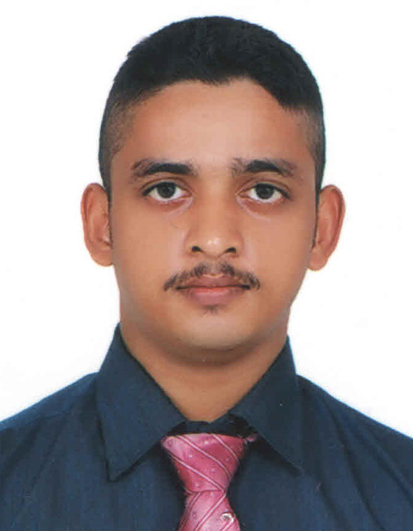 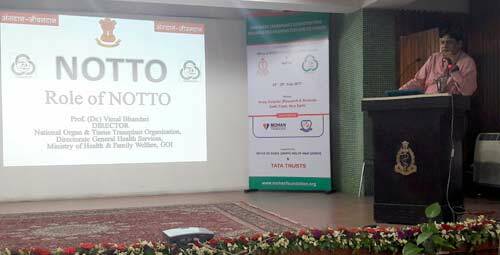 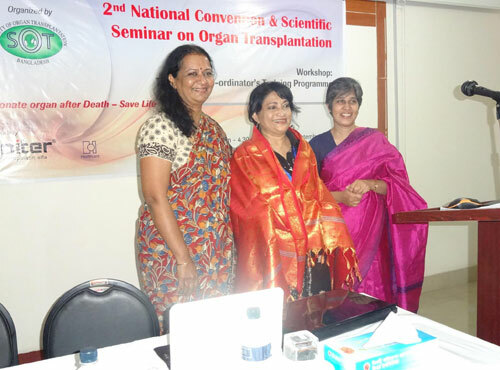 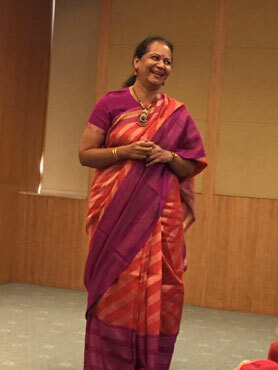 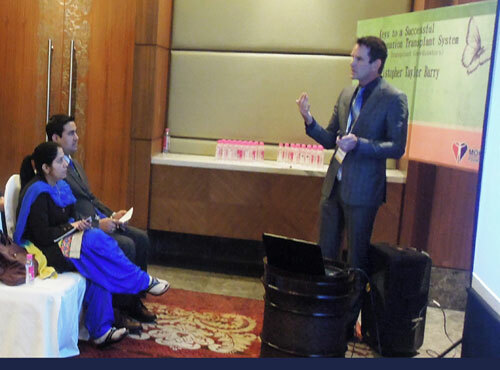 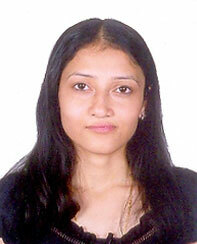 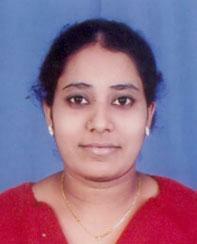 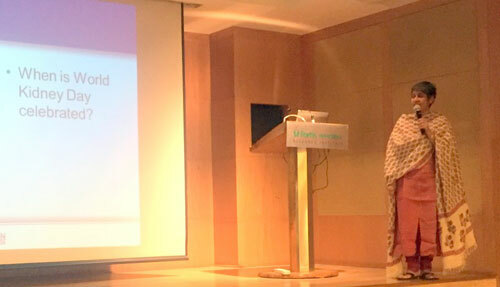 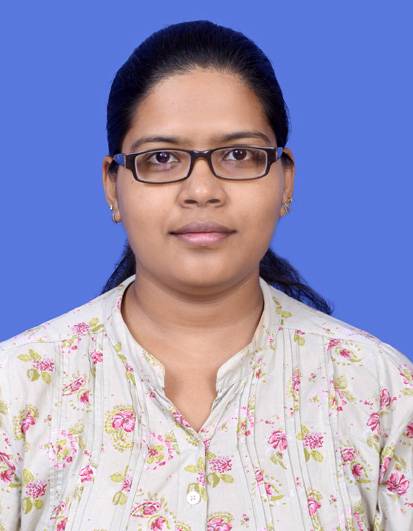 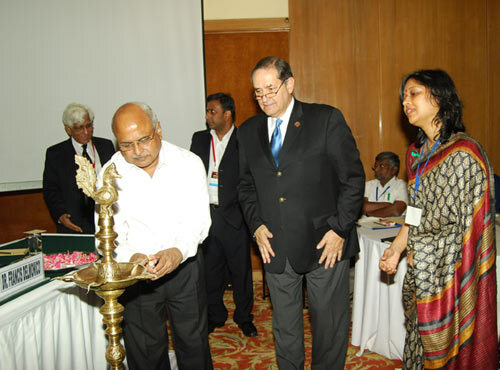 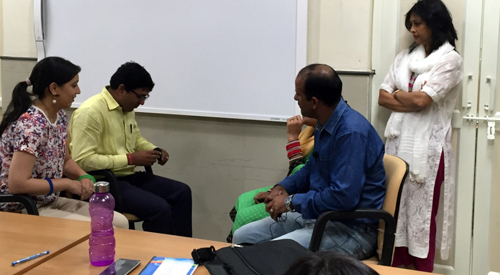 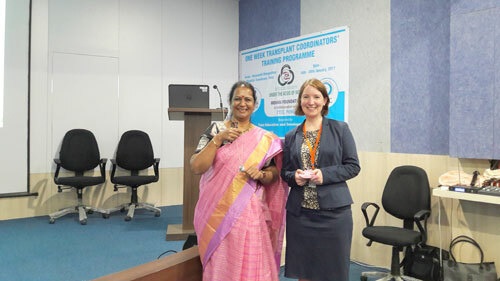 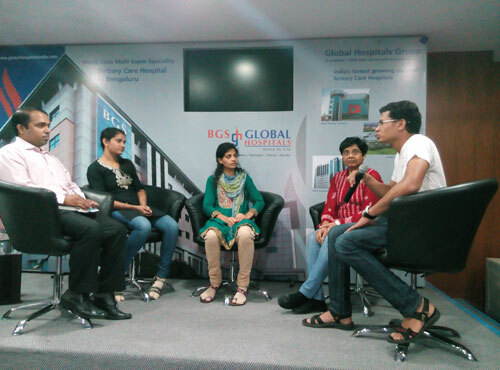 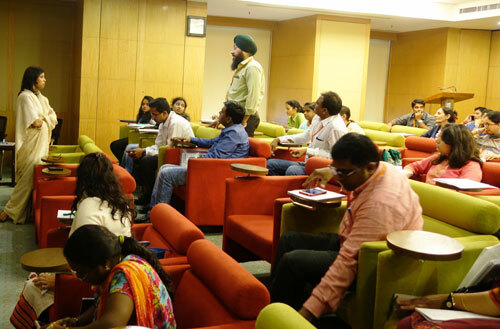 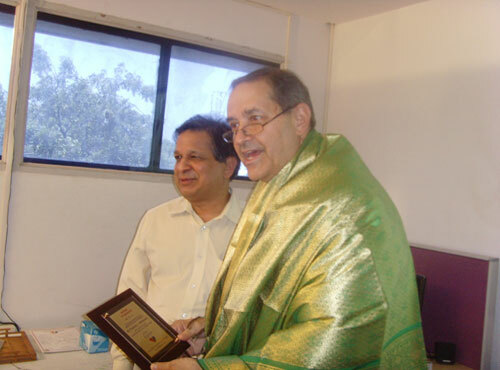 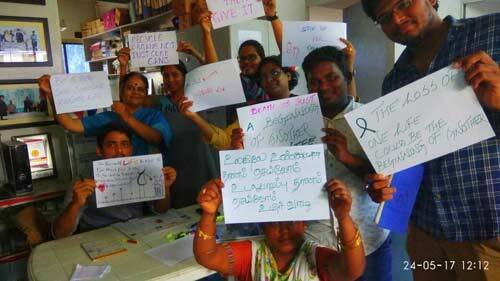 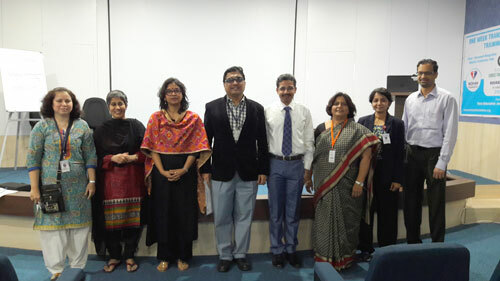 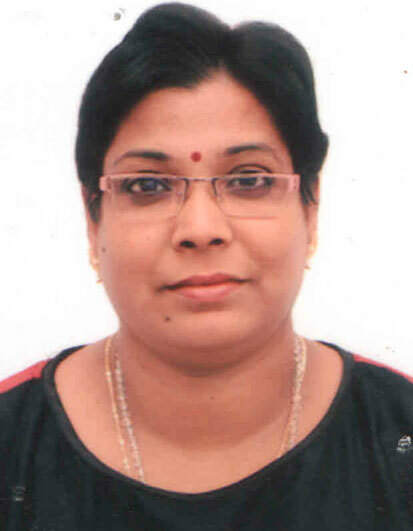 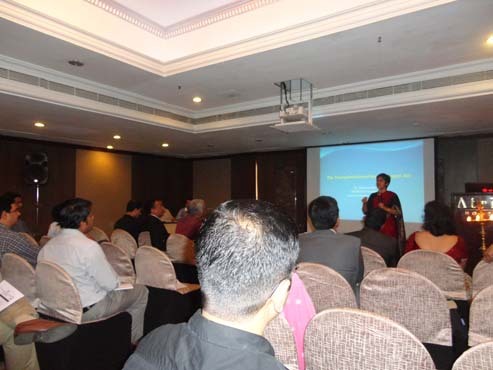 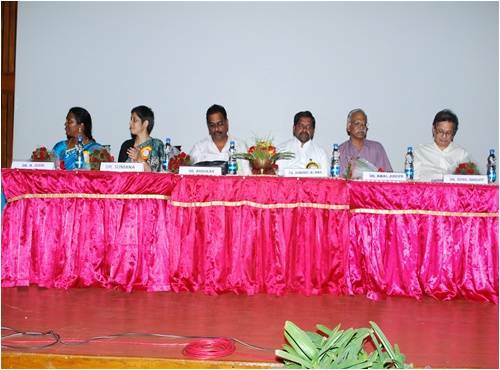 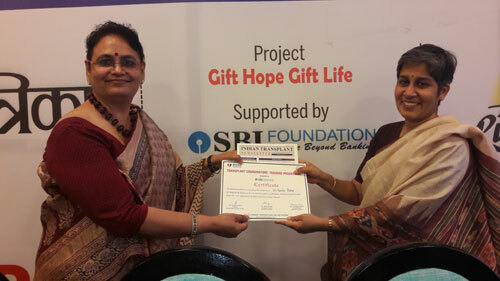 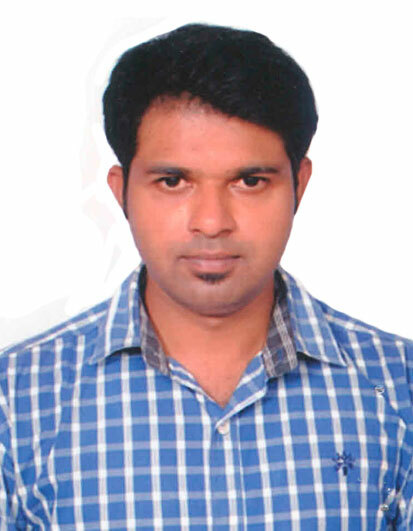 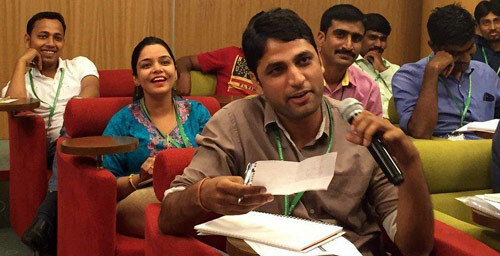 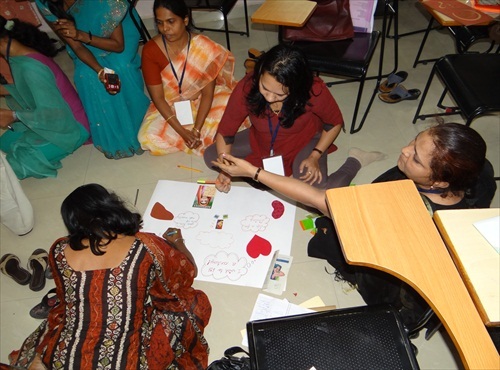 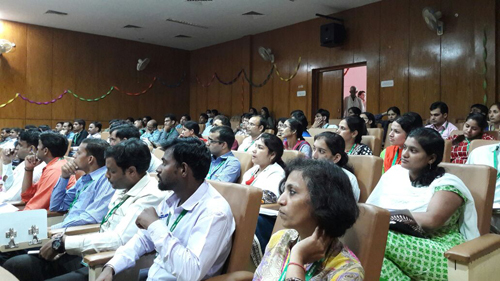 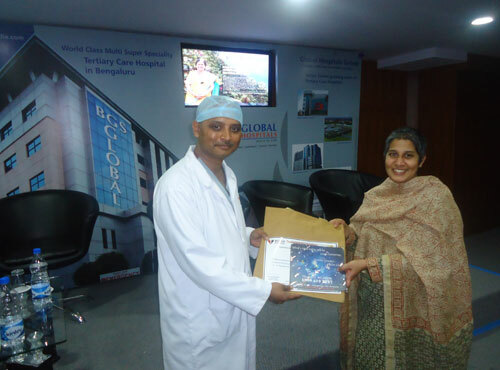 Creating a cadre of health-care professionals dedicated to "Transplant Coordination" in India and South Asia. 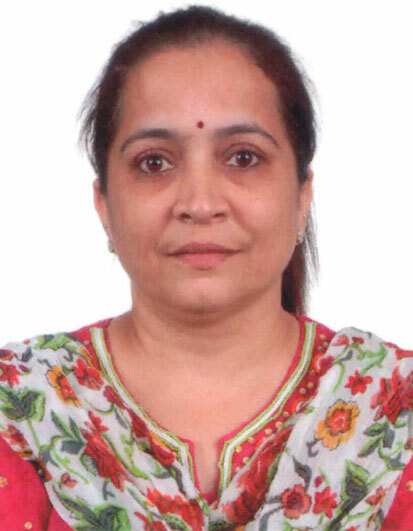 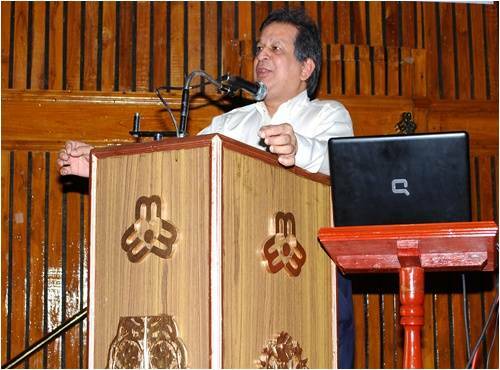 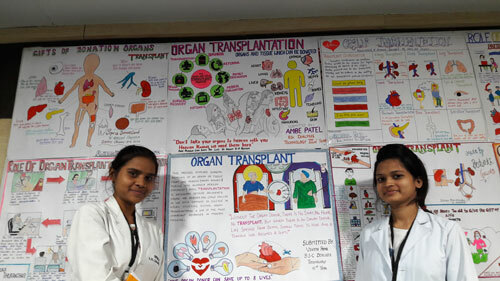 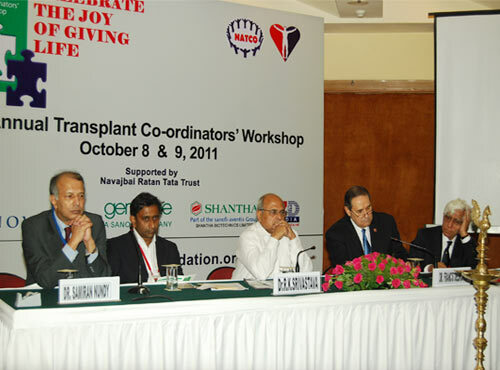 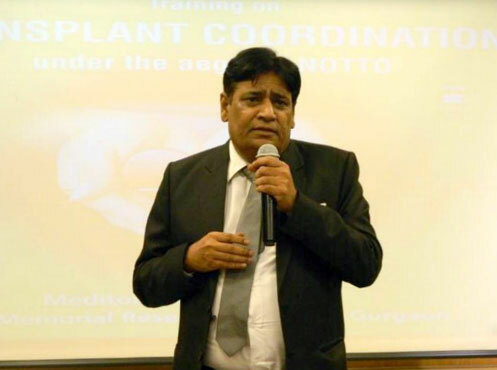 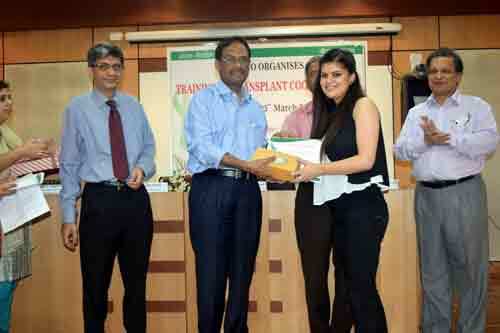 Definition - Transplant coordinator means a person appointed by the hospital for coordinating all matters relating to removal or transplantation of human organs or tissues or both and for assisting the authority for removal of human organs as per the Transplantation of Human Organs (Amendment) Act, 2011. 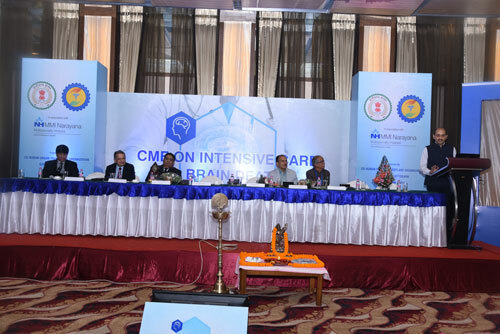 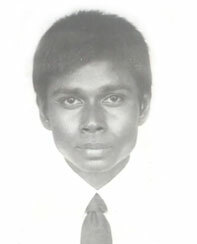 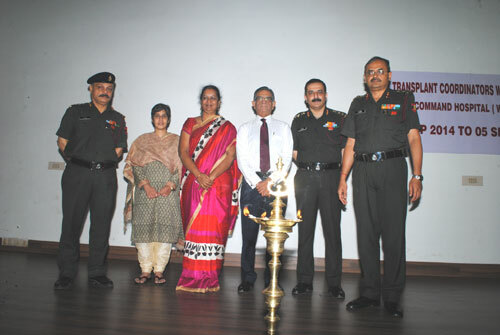 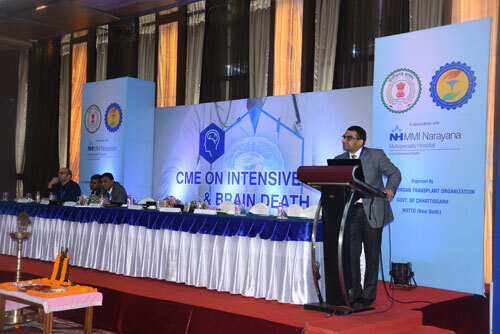 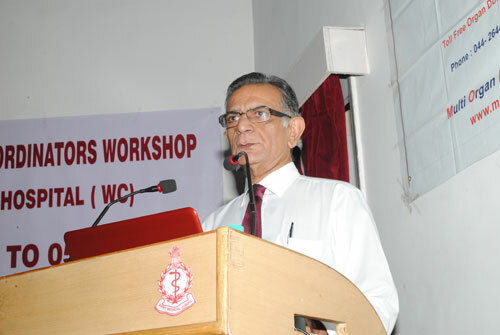 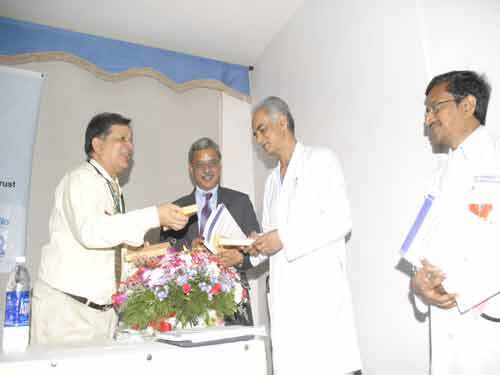 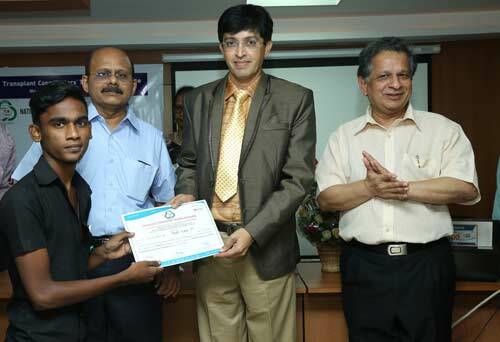 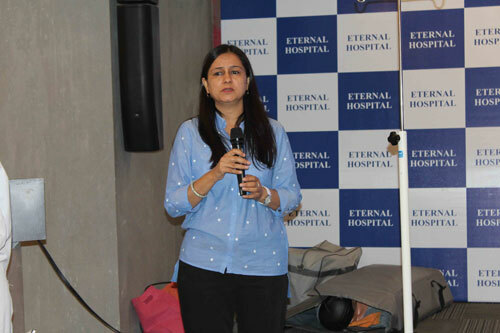 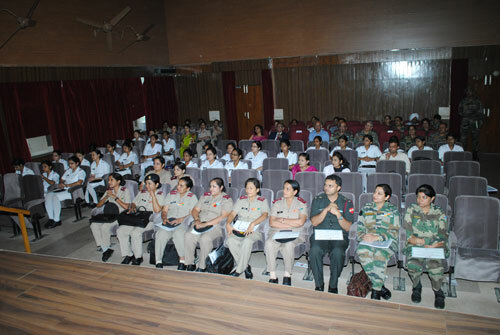 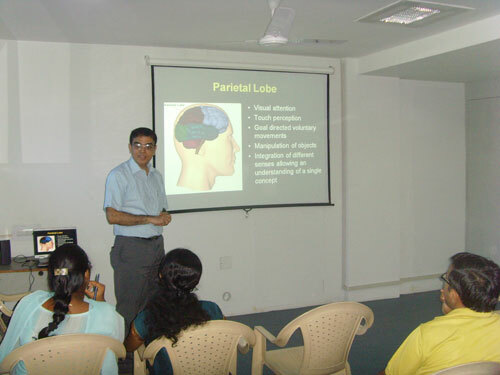 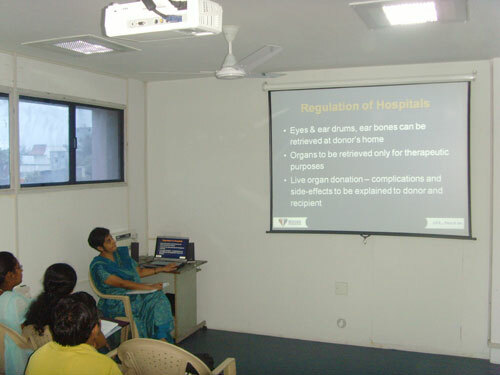 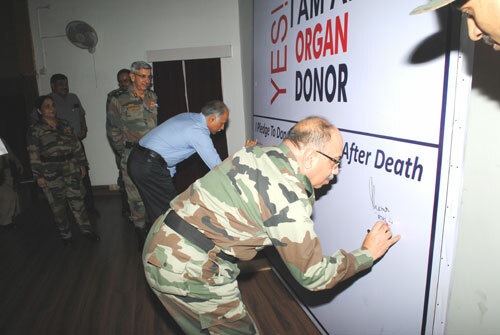 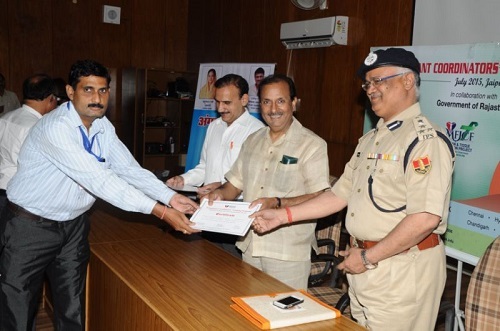 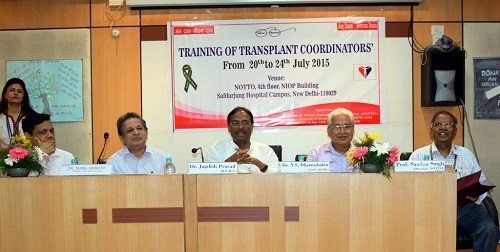 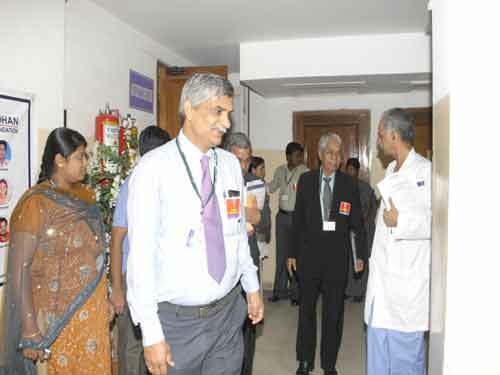 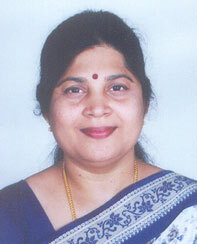 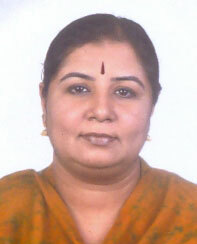 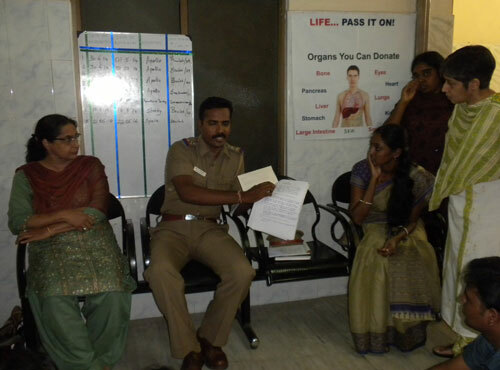 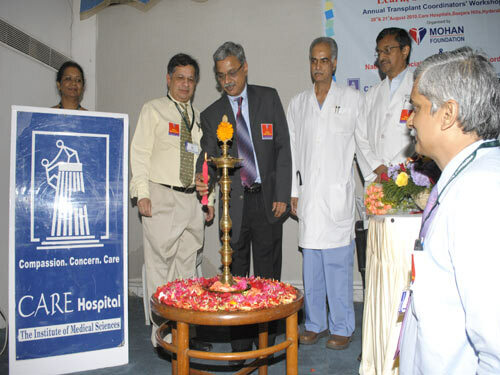 The concerned organization or institute shall ensure initial induction training followed by retraining at periodic interval and the transplant coordinator shall counsel and encourage the family members or near relatives of the deceased person to donate the human organ or tissue including eye or cornea and coordinate the process of donation and transplantation. 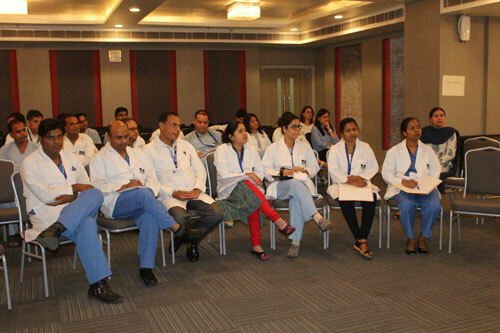 One Week •	Doctors / Nurses / Allied Science graduates preferably with work experience. 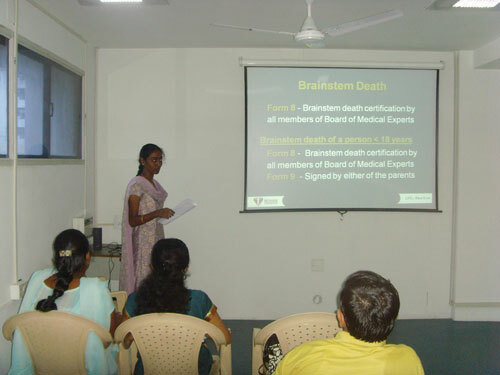 •	Graduates in any subject with at least 6 months experience in hospital setup (preferably). 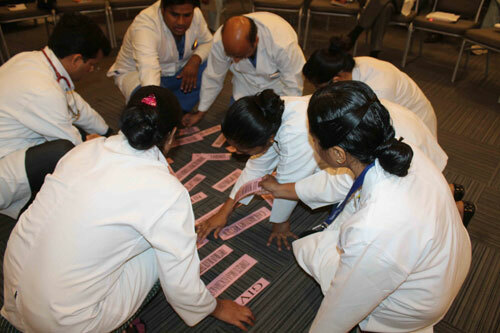 One Month •	Doctors / Nurses / Allied Science graduates. 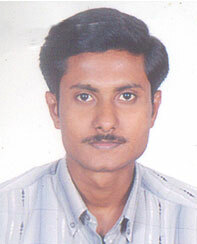 •	Graduates in any subject. 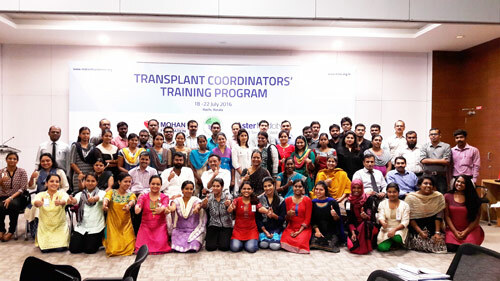 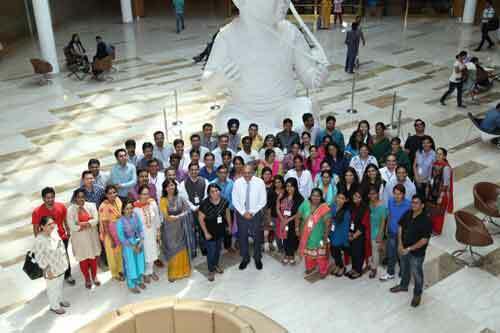 Annual Transplant Coordinators’ Conference Previous course participants, Transplant coordinators, other health-care professionals. 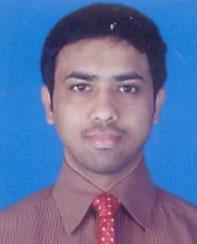 2 Days Once a Year Will be updated periodically. 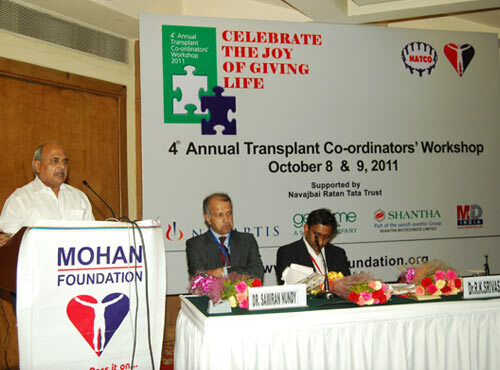 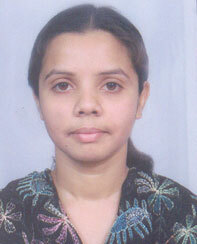 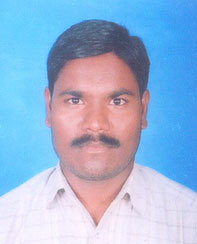 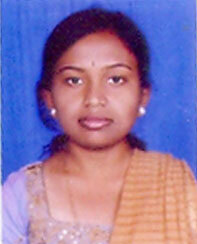 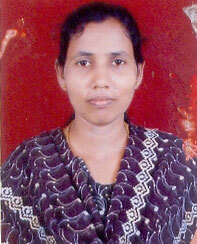 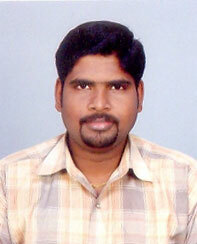 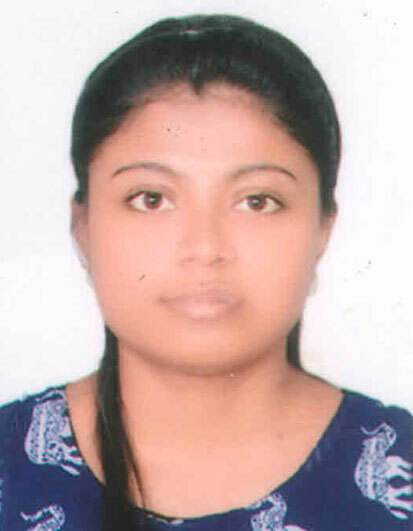 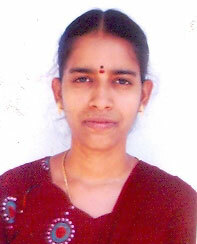 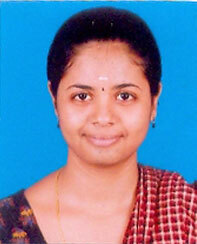 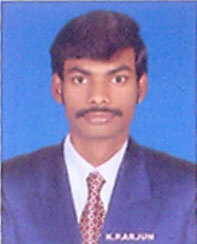 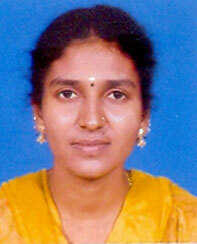 The attached registration form must be sent duly filled to MOHAN Foundation. 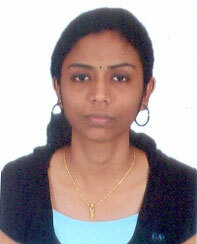 Upon acceptance a confirmation will be sent. 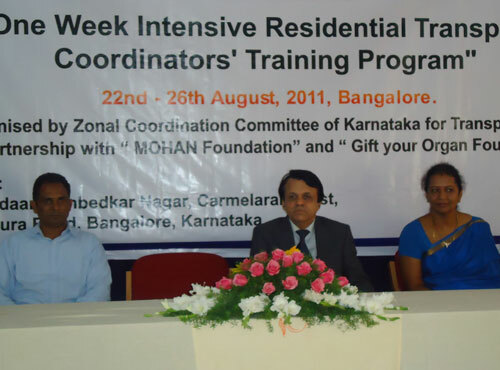 The One Month Training Programme has limited places with a maximum of 25. 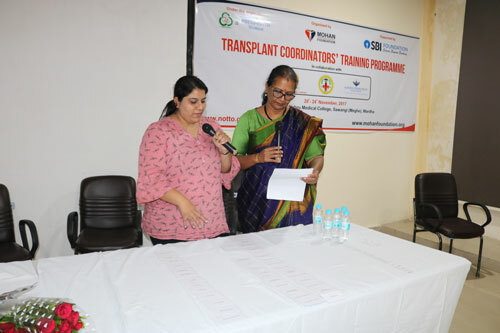 Applications for registration will be accepted from individual candidates as well as candidates sponsored by hospitals and organ procuring organizations.